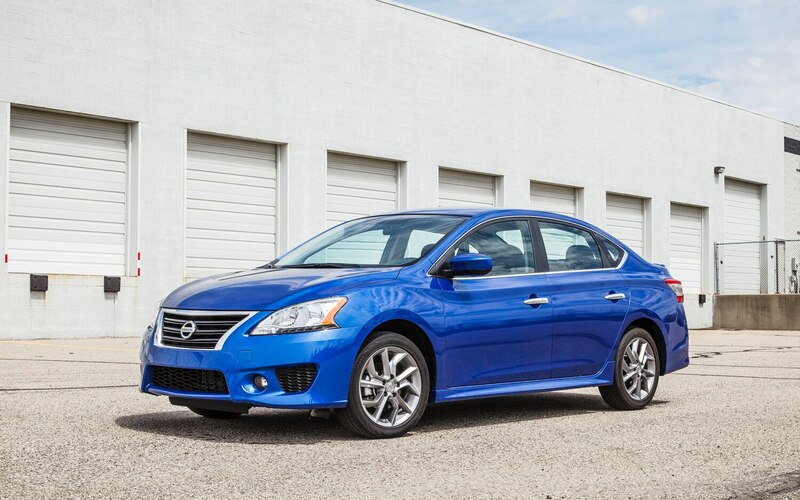 Someone looking for an affordable compact sedan could do a lot worse than the Sentra. 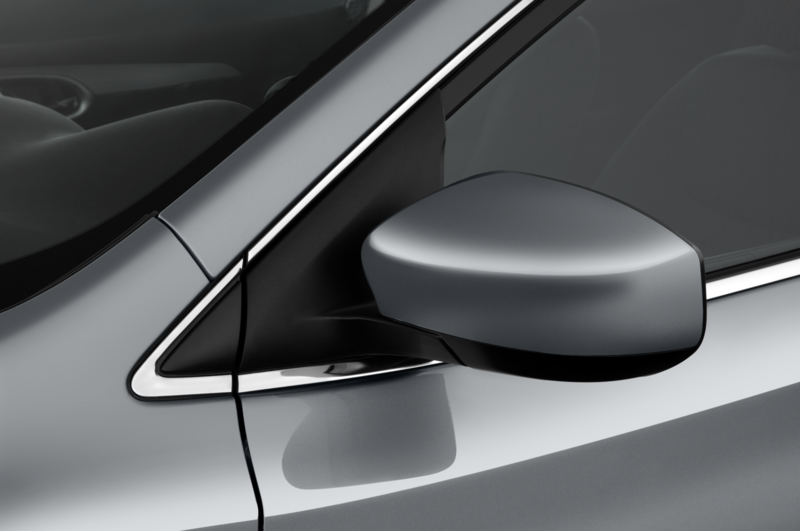 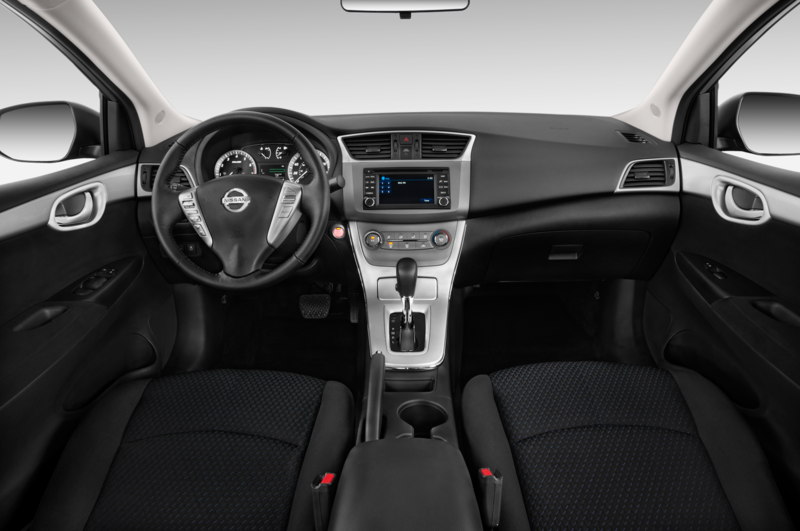 It has a roomy interior, modern styling, and a pleasant driving experience. 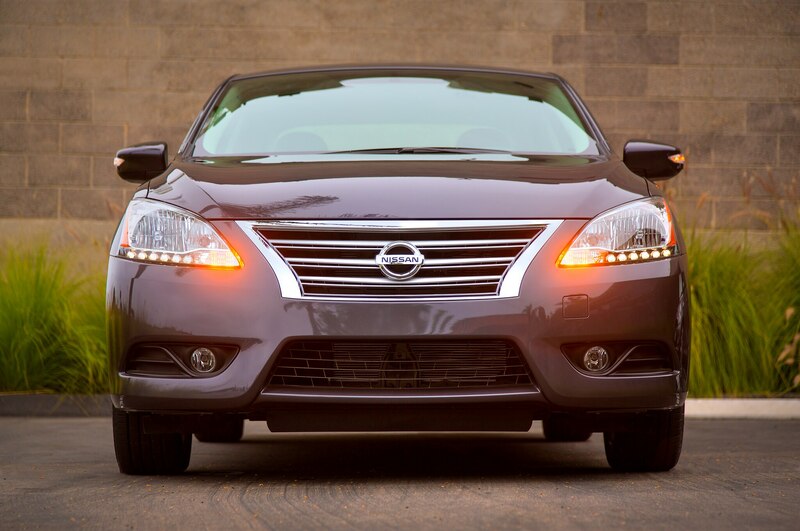 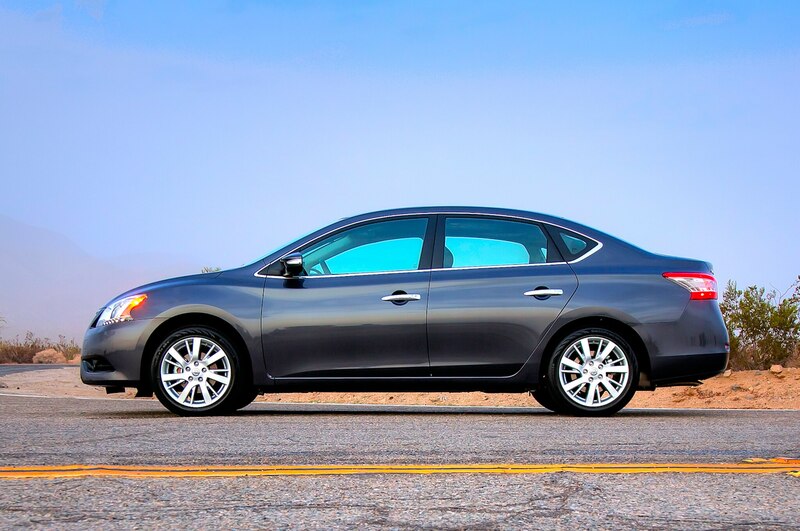 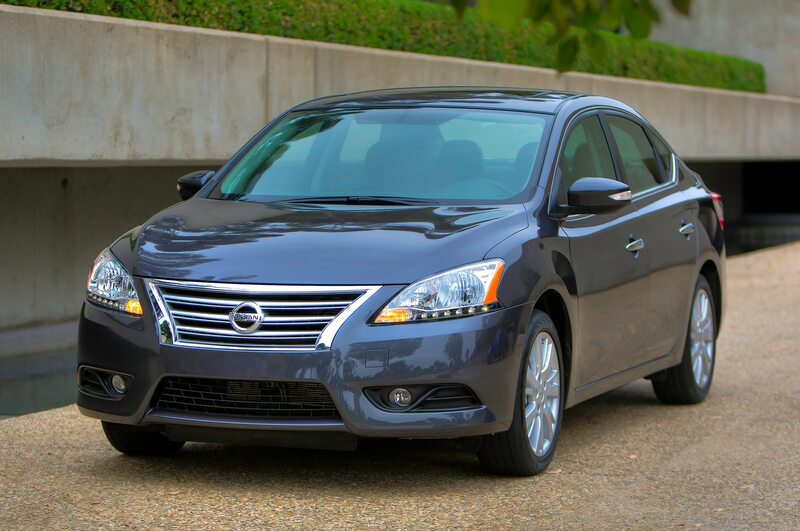 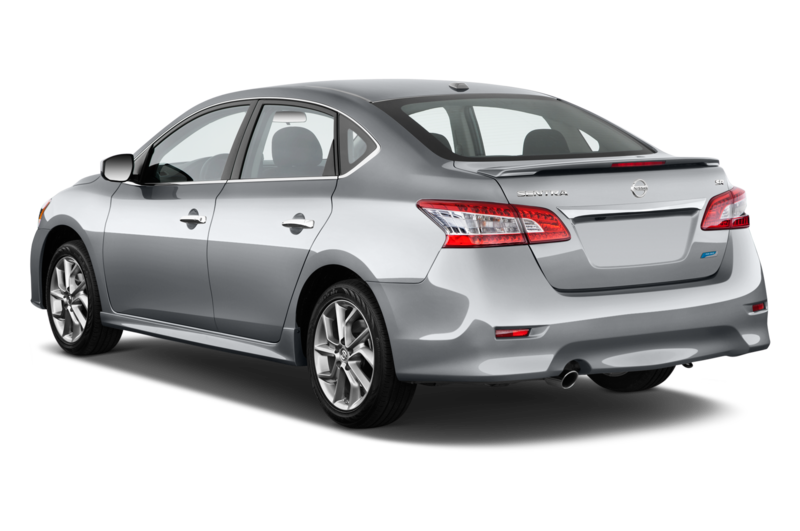 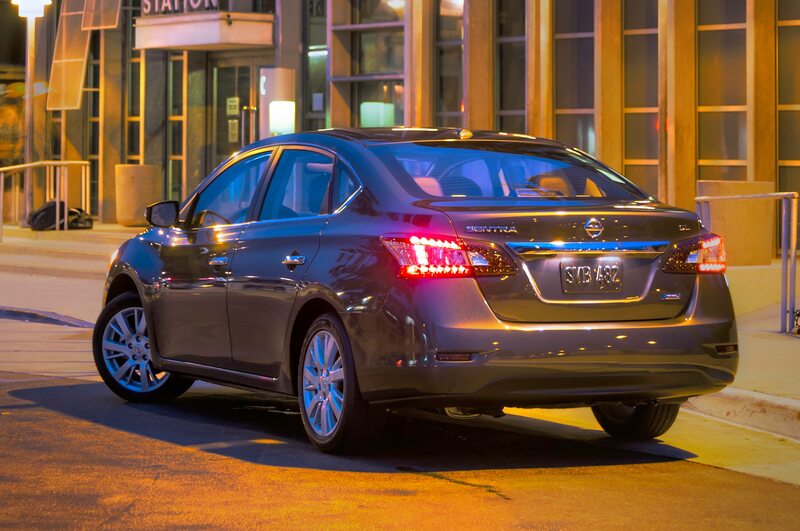 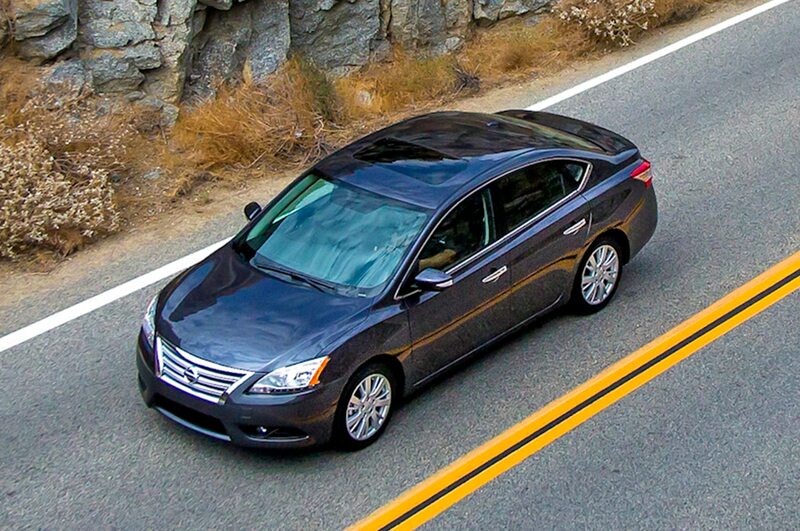 I quite like the scaled-down-Altima looks, especially with all the chrome accents on this SR model. 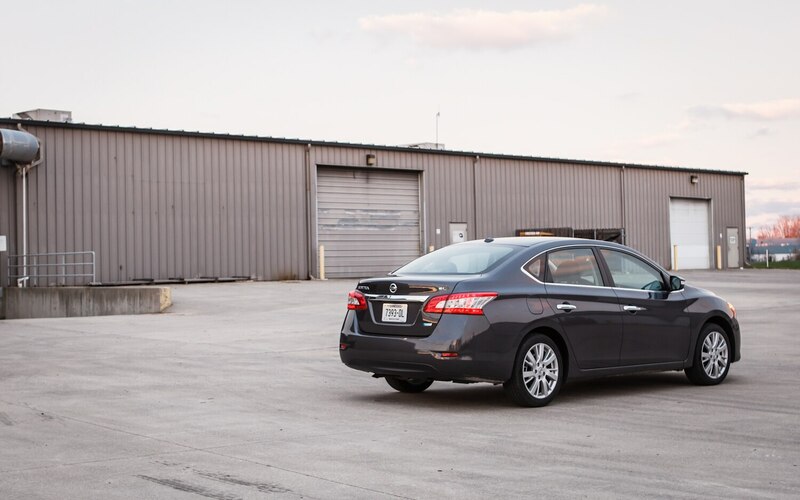 The four-cylinder engine and continuously variable transmission are perfectly smooth and responsive around town, although any acceleration other than “leisurely” results in a horrible moaning noise. 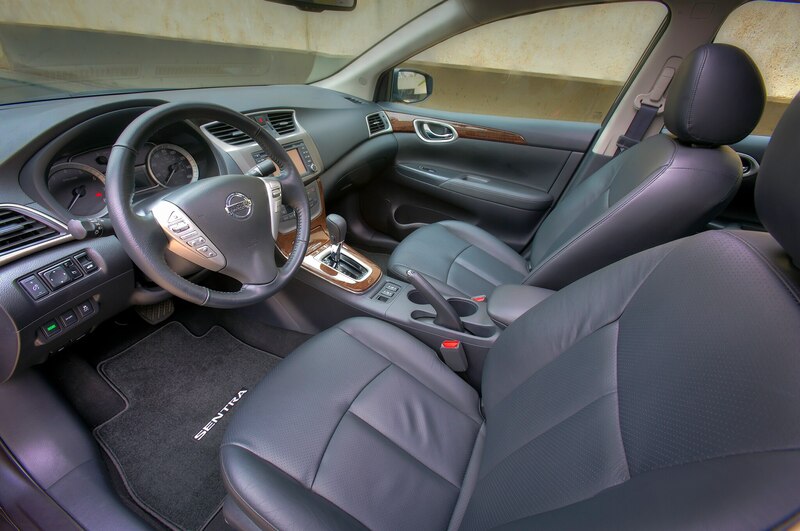 The cabin is nicely appointed and shows no obvious signs of cheapness. 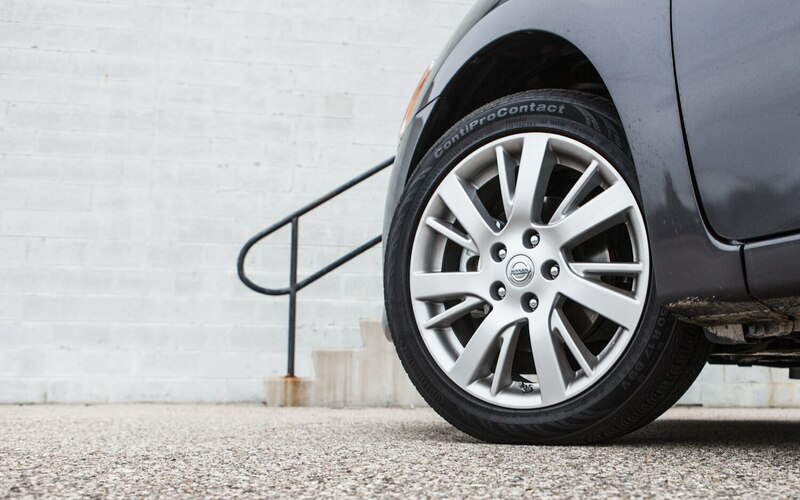 All in all, there’s little to complain about. 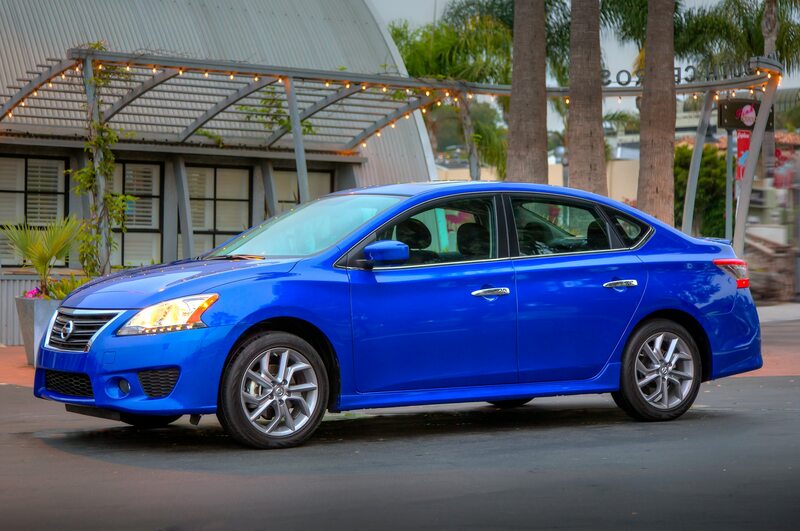 The Sentra is no where near as interesting to drive, as well-rounded, or as attractive as a Ford Focus or Mazda 3, my favorite compact sedans, but it’s not a bad choice in this segment. 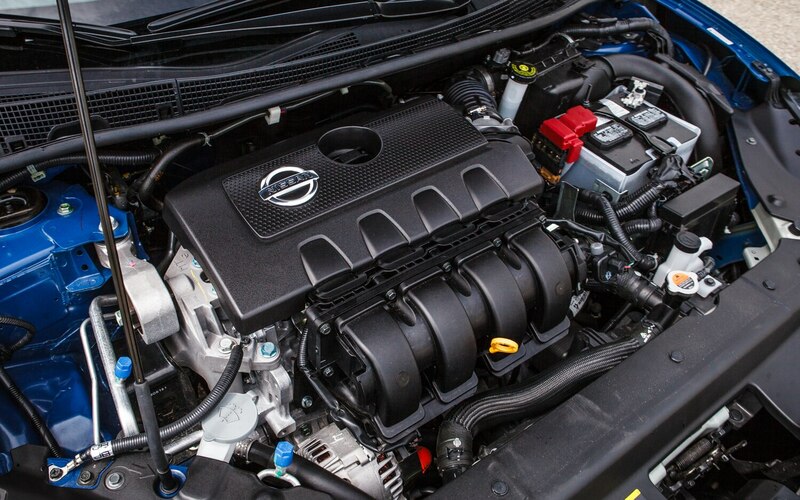 Nissan clearly has made a conscious decision to concentrate its sporty ethos in niche products — Juke, 370Z, GT-R — and let its mainstream products be mainstream. 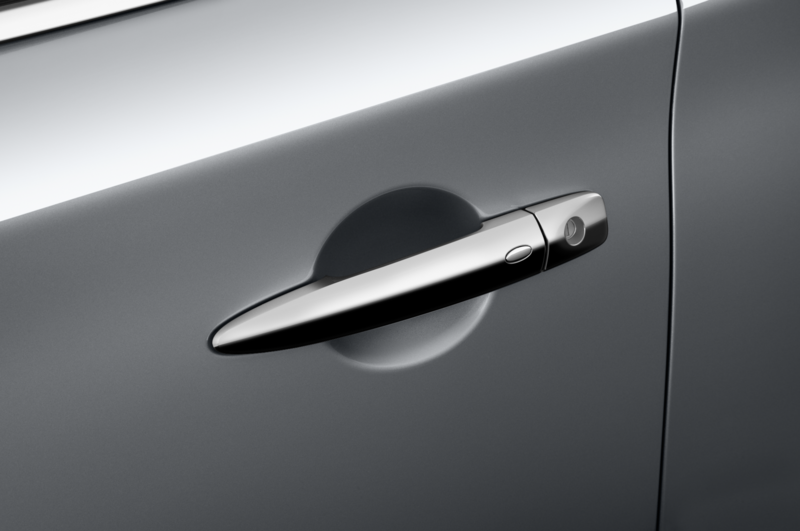 I have no problem with this on a theoretical level. 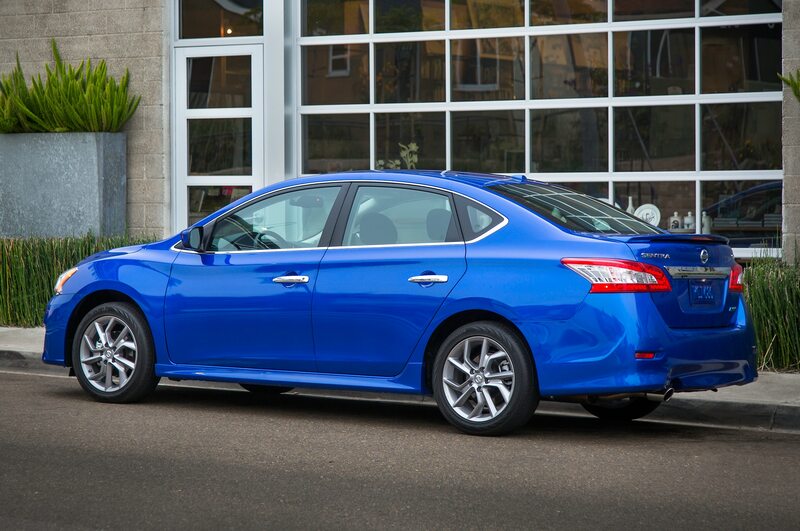 In fact, I find it pedantic bordering on narrow-minded when auto journalists insist that everything must be sporty. 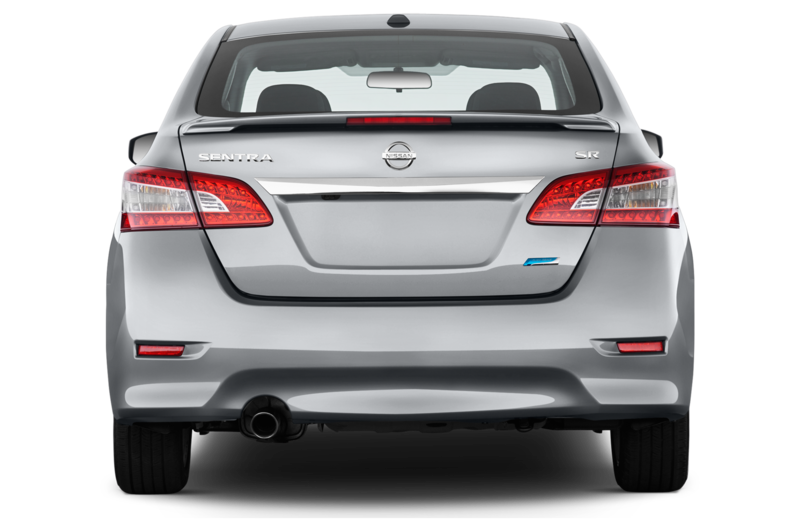 Not everyone likes the cars we like, and Nissan is smart to cater to those others while still offering spicy alternatives for us who want them. 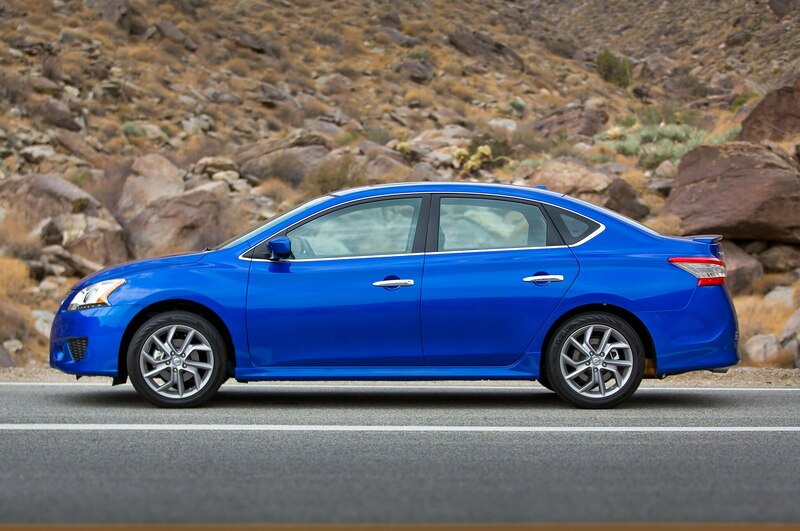 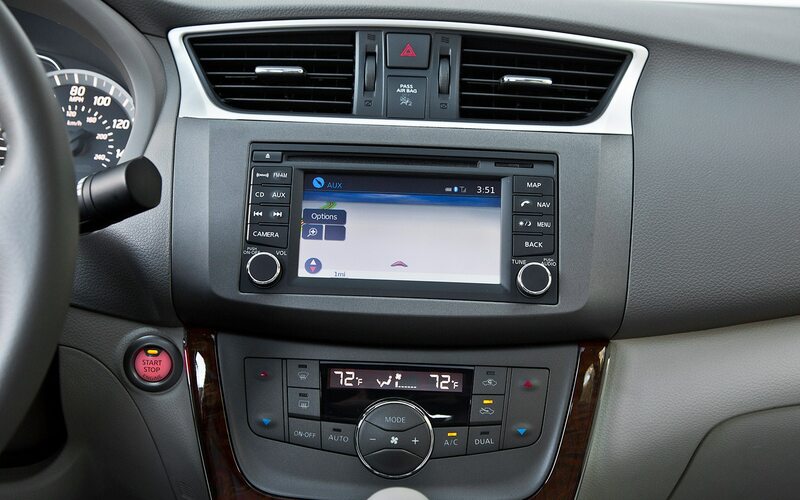 Those drawn to the Toyota Camry and Honda Civic will find that the Sentra rides better and has a much better infotainment system. 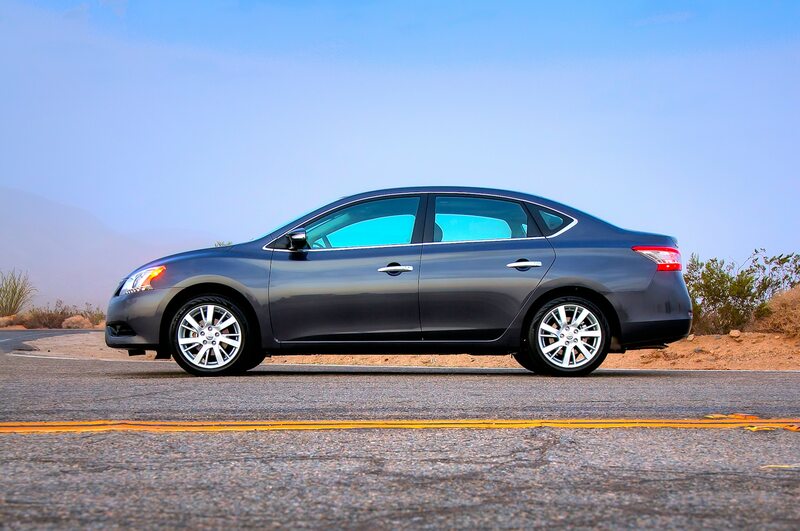 Having said all that, I cannot help but find the reality of the Sentra rather dreary. 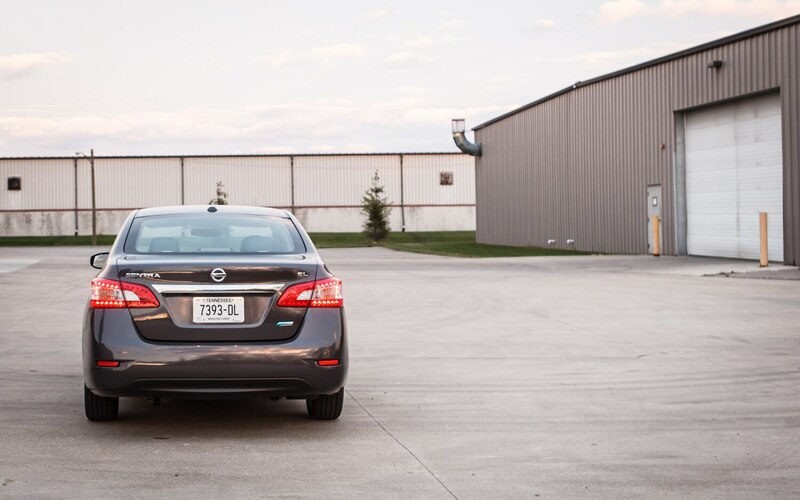 Like the smaller Versa and the larger Altima, it’s aggressively boring — the styling, exterior materials, and driving dynamics all say “middle of the road.” There is presently a Kia Forte in our parking lot that, from ten feet away, looks to cost $10,000 more than our Sentra. 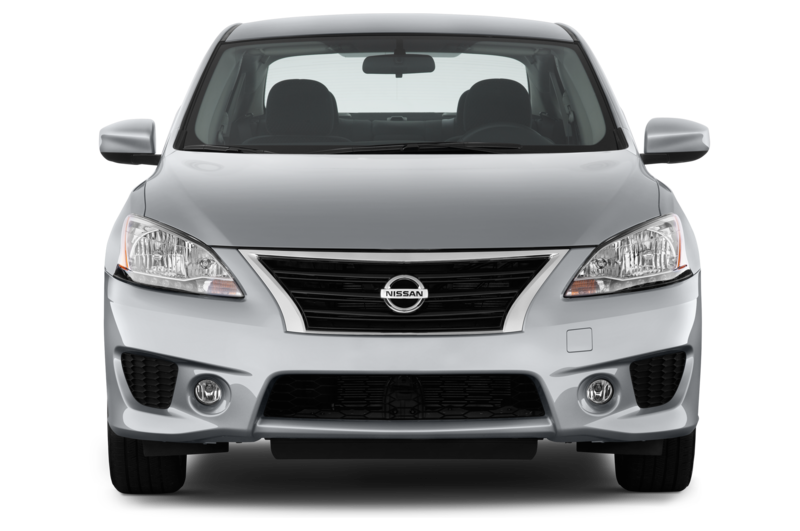 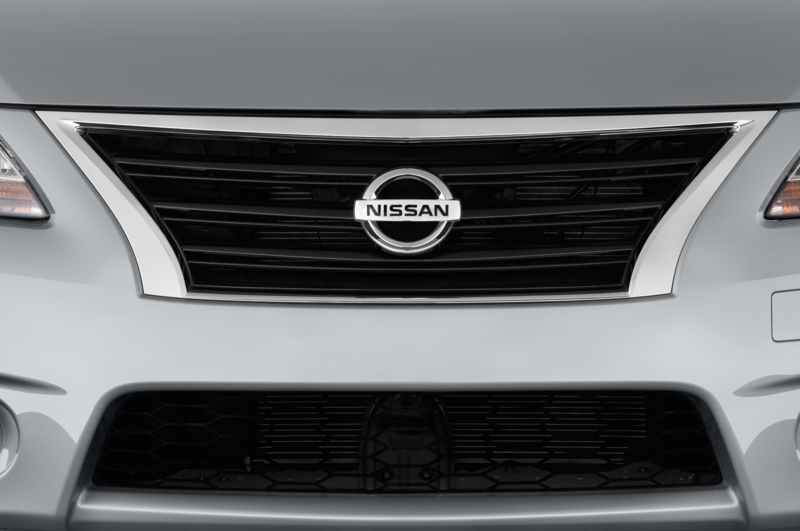 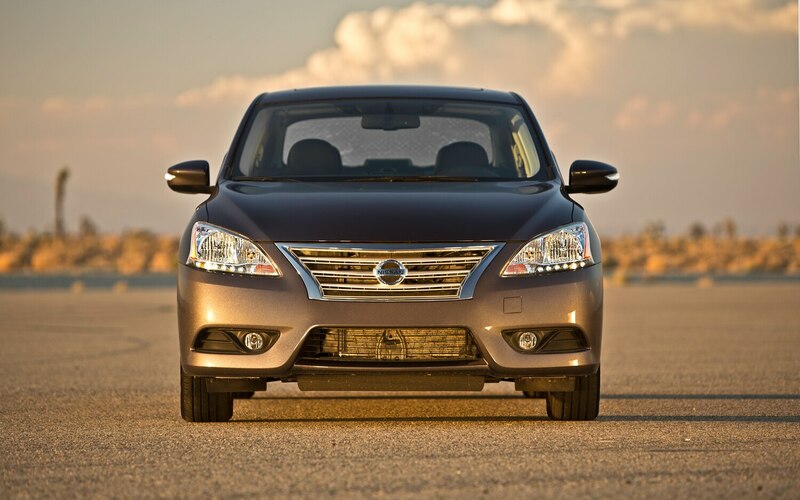 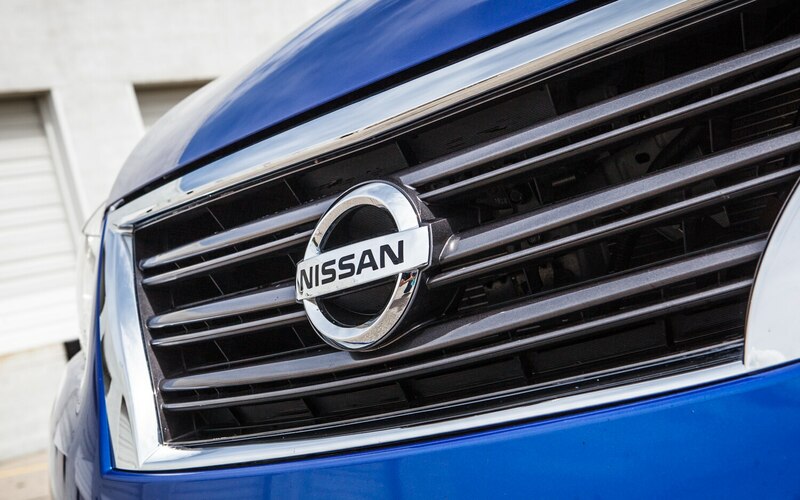 Mind you, I could list several areas Nissan executed better, most important being ride quality. 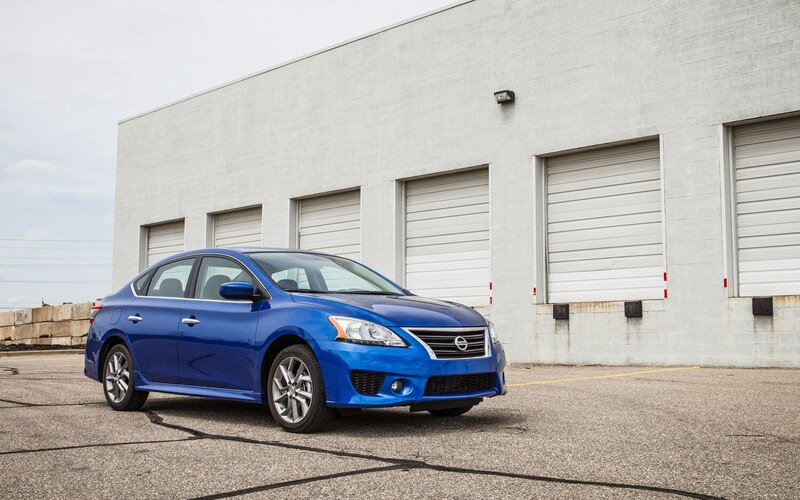 But the Forte, like many compact cars these days, clearly aspires to something better; the Sentra seems happy with what it is. 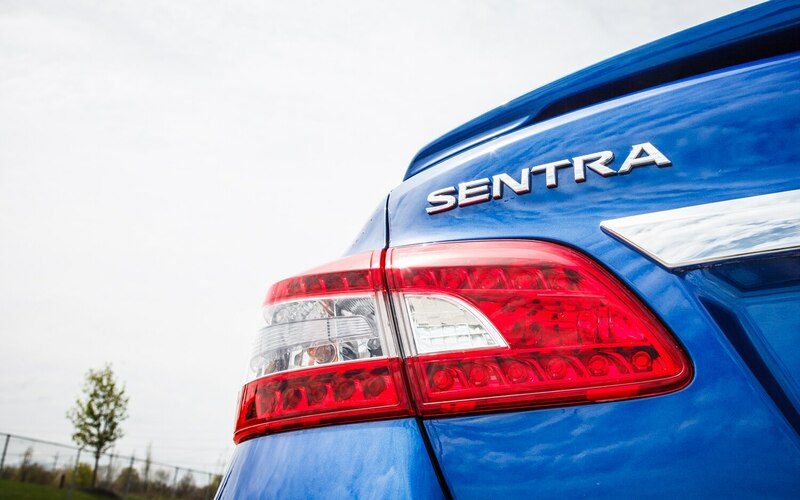 The Sentra seems to have a Jekyll and Hyde complex: most of the time it’s a very comfortable and well-behaved compact sedan, but pushed too hard and its raucous Mr. Hyde side comes out. 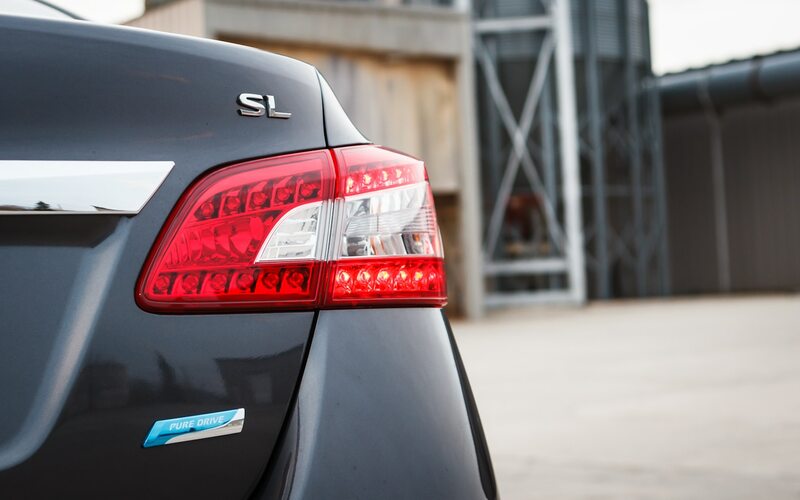 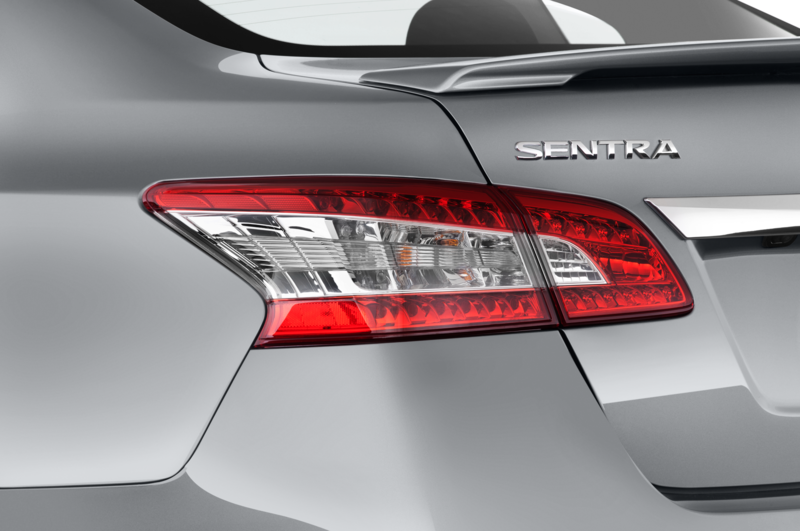 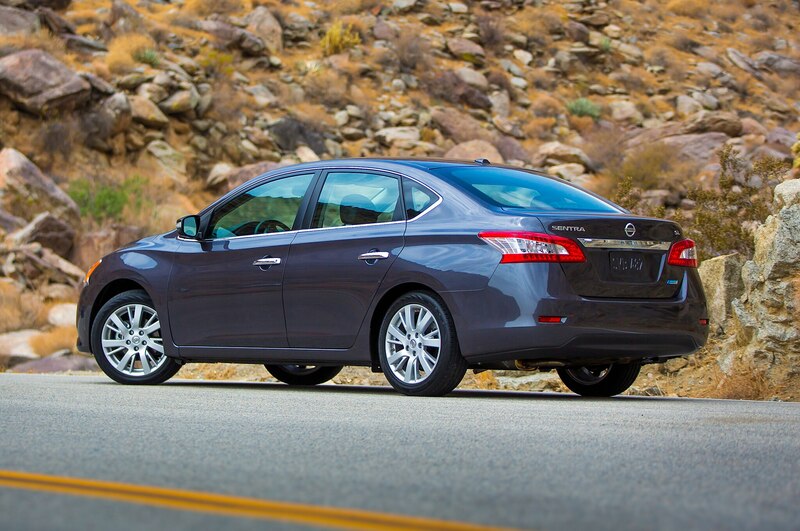 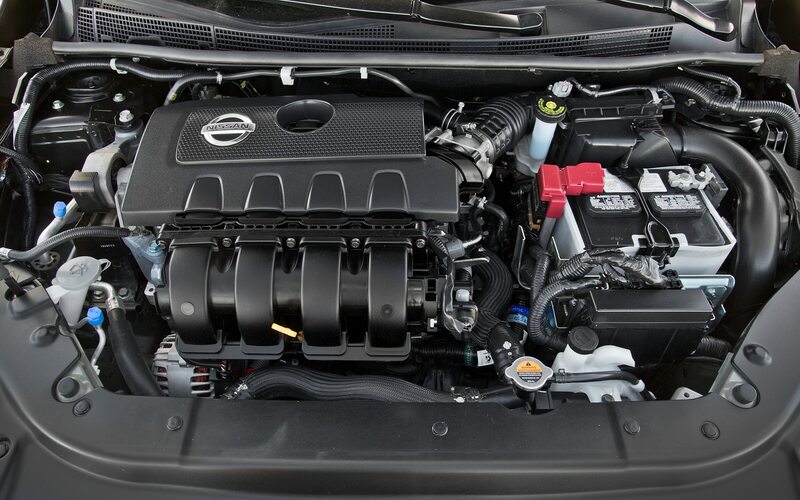 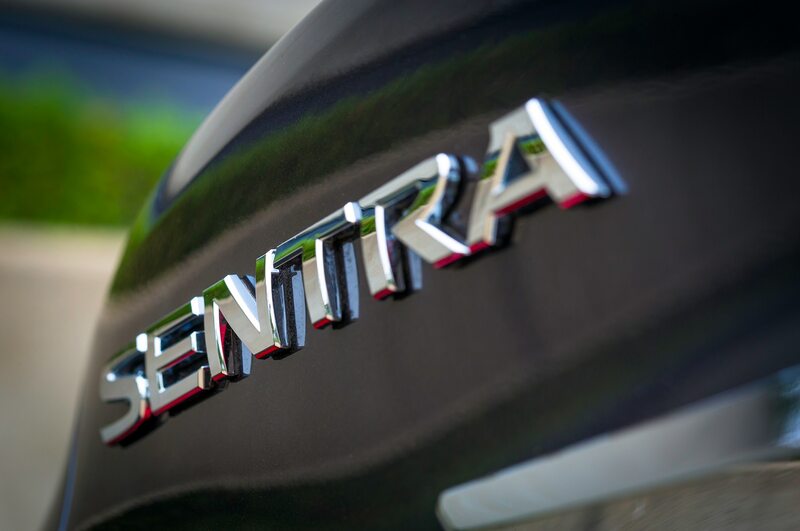 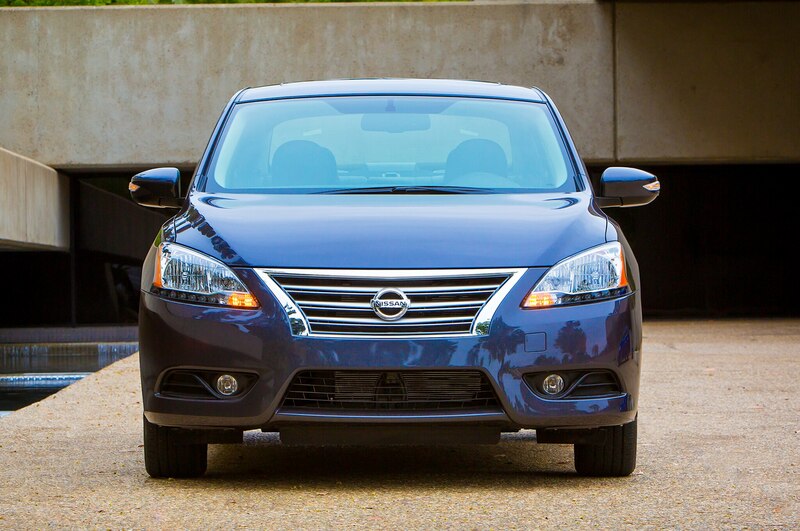 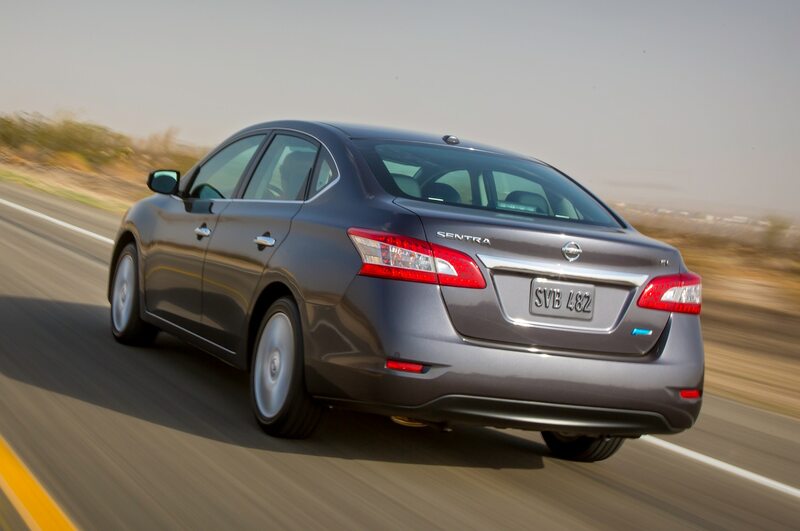 Dr. Jekyll: To your average consumer, the Sentra is pretty luxurious. 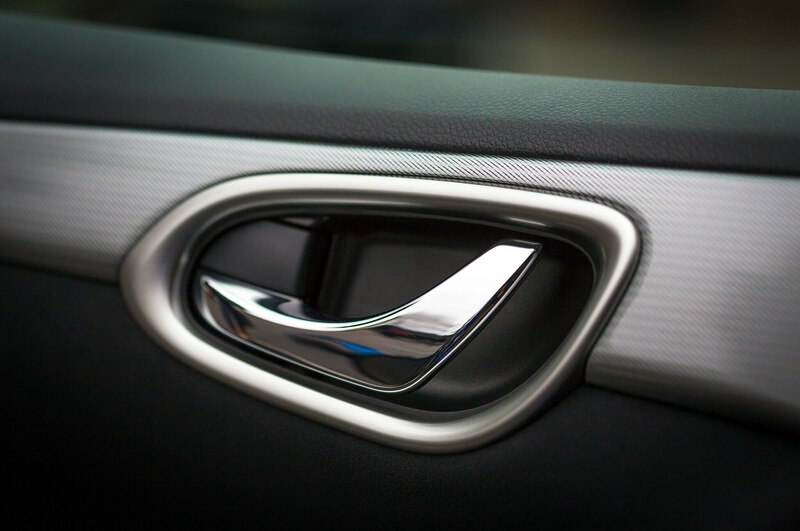 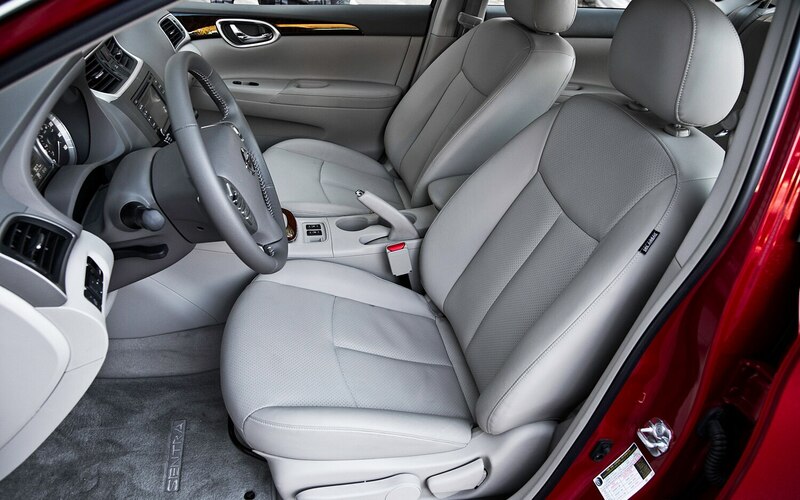 The cabin is decked out in soft-touch materials everywhere you touch, and all the frequent touch points (like the door armrests) are extra-squishy. 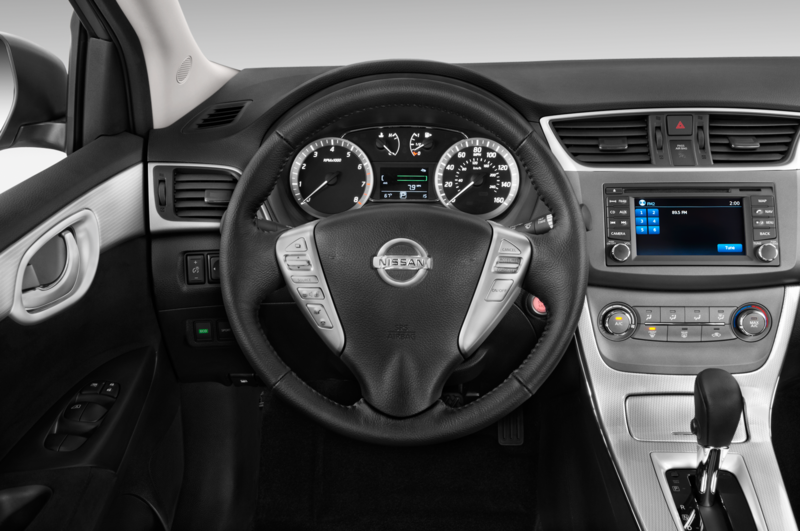 The ride is also luxurious — the cabin is isolated from both road noise and feedback, the steering is light, and there are premium features like passive entry and start and a backup camera. 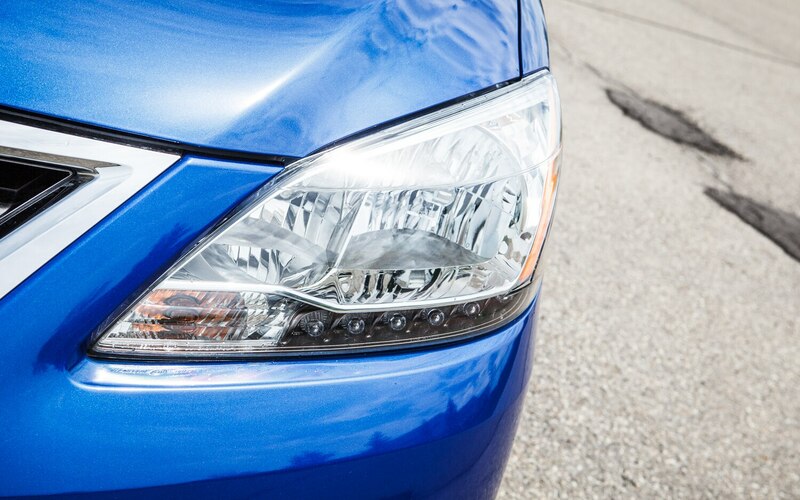 For many people, this low-rent Lexus is a good deal at under $22,000. 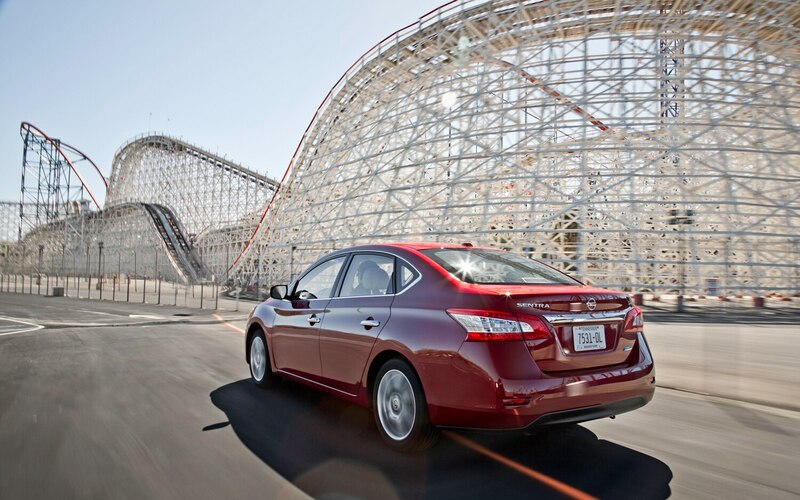 Mr. Hyde: Mash the accelerator pedal and Mr. Hyde emerges. 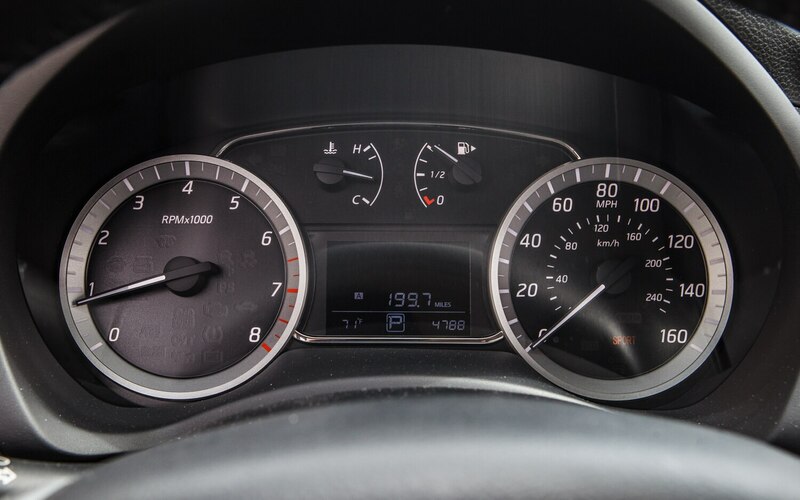 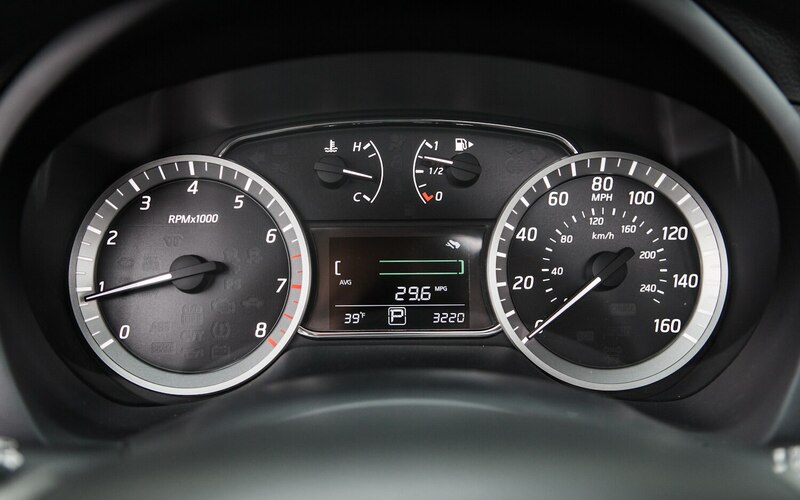 The Sentra moans, groans, and drones in direct relation to how much you are trying to accelerate; that said, the actual accumulation of speed does not relate to how much noise is being made by the engine. 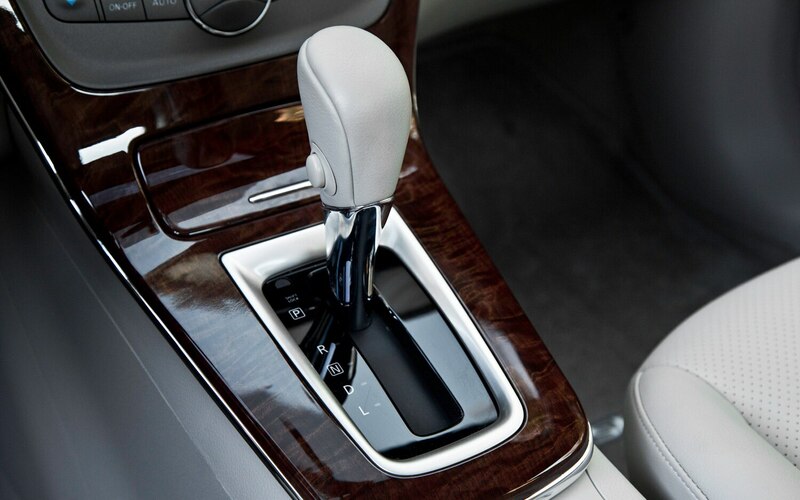 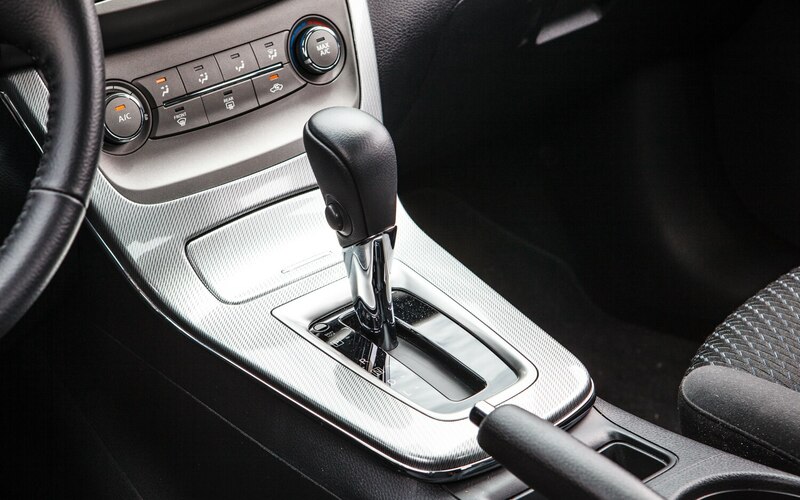 Much of the blame goes to the continuously variable transmission, which is paired to an anemic 1.8-liter I-4 rated for just 130 hp and 128 lb-ft of torque. 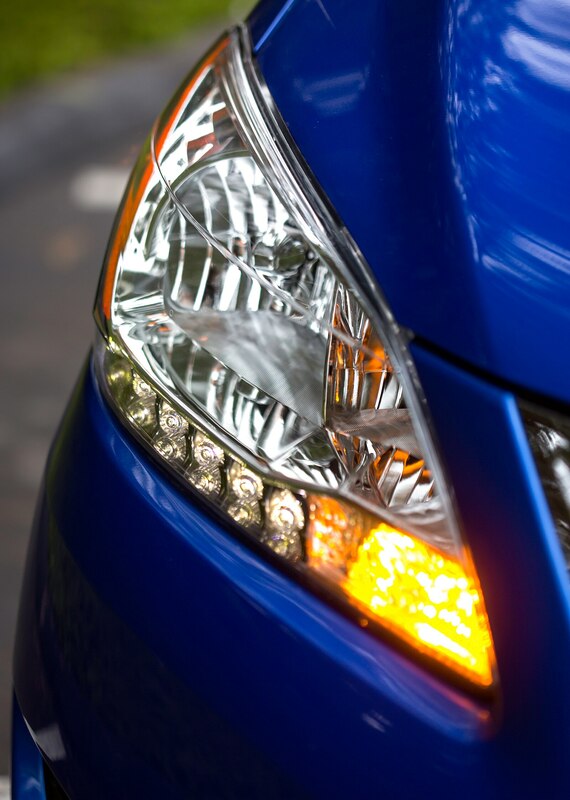 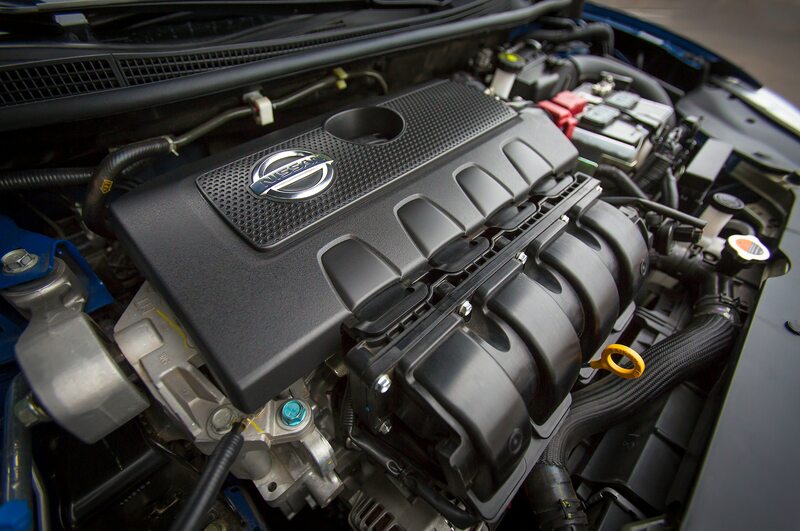 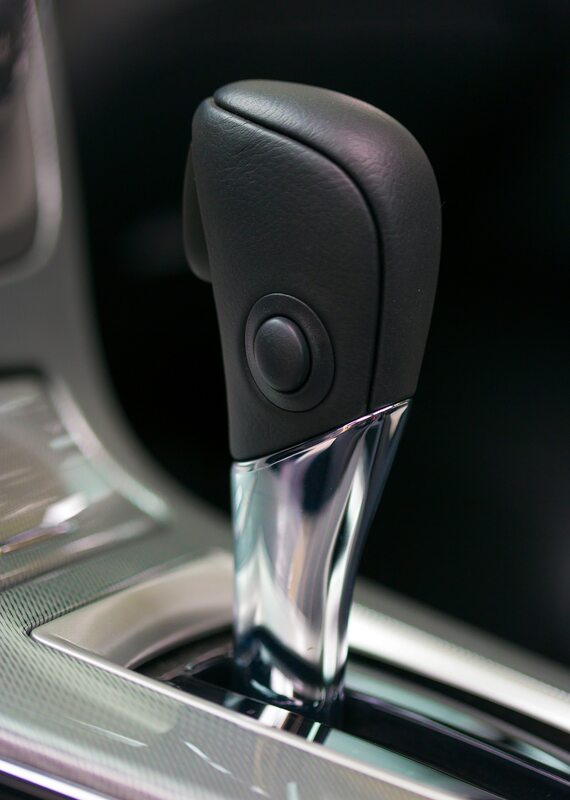 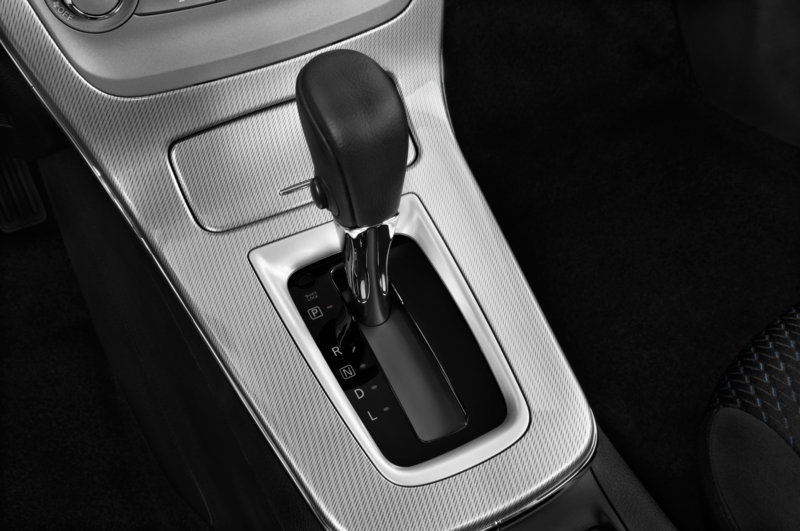 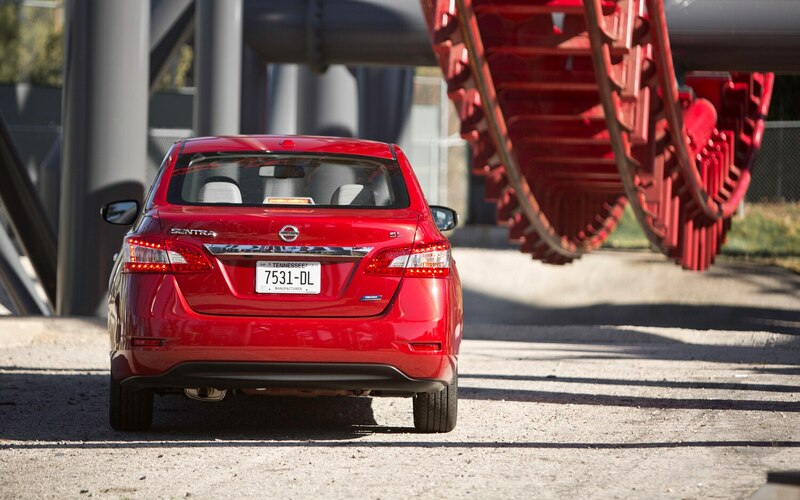 The CVT has to spin revs as high as possible to find what little power the engine has to offer. 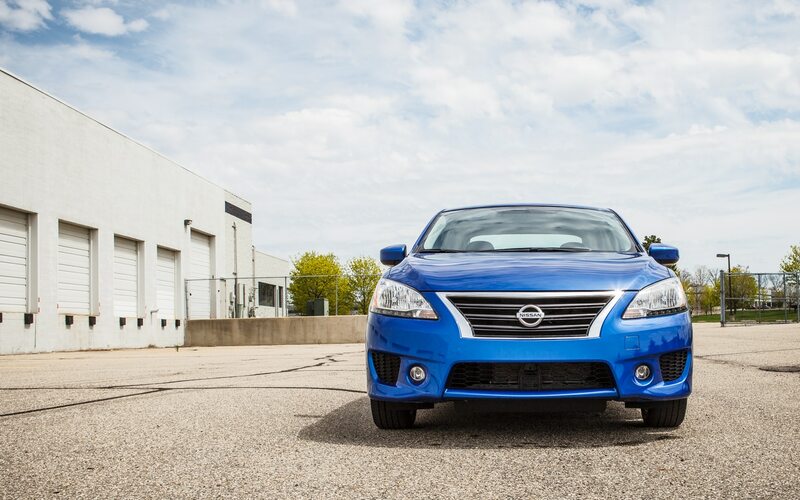 The racket isn’t exactly the sweet song of a refined four-cylinder either. 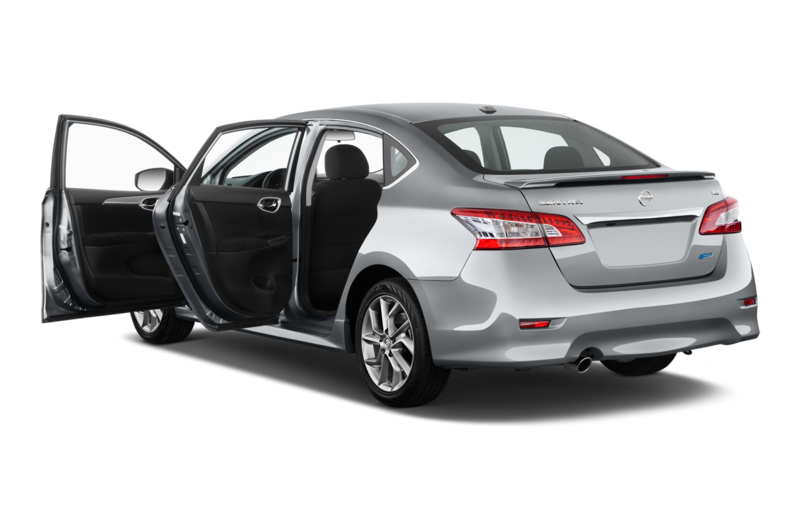 The idea of bargain luxury then becomes a faint memory, drowned out by the powertrain’s cacophony. 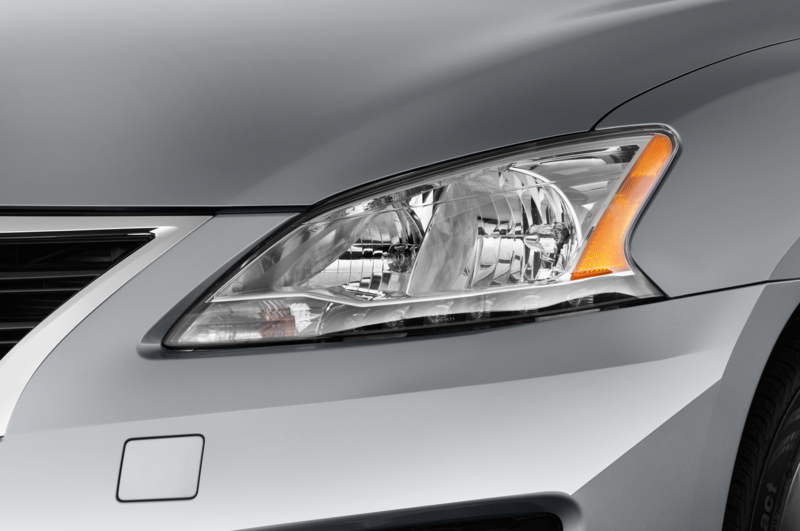 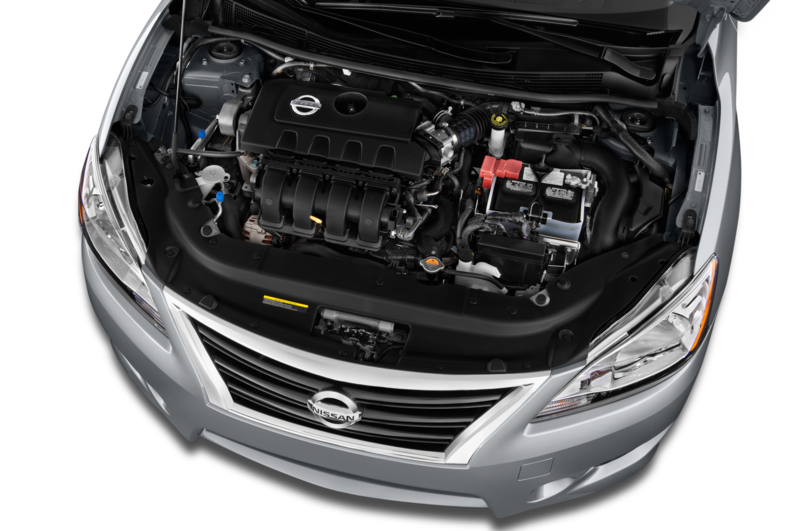 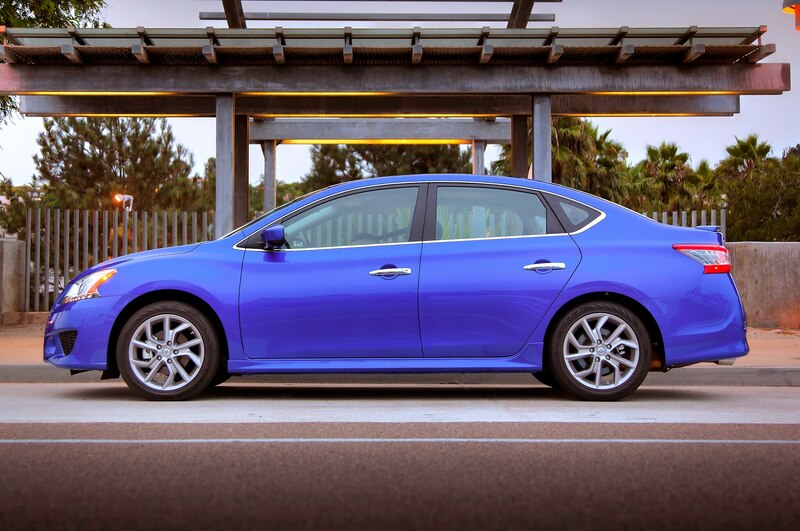 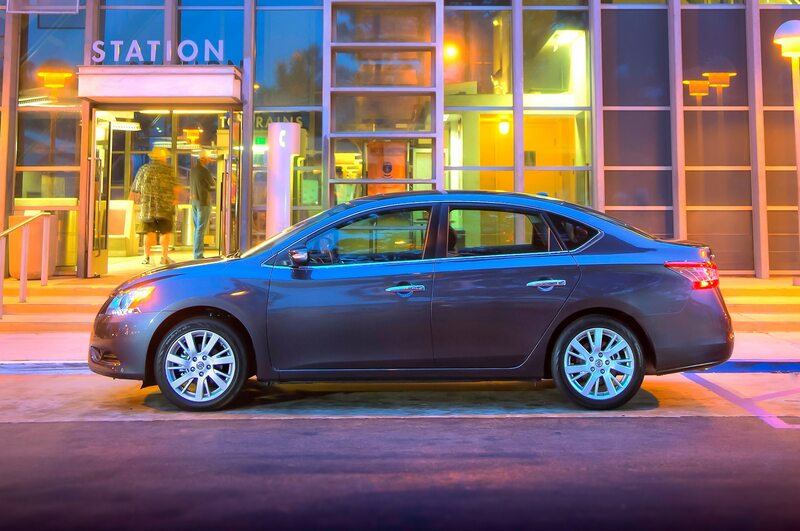 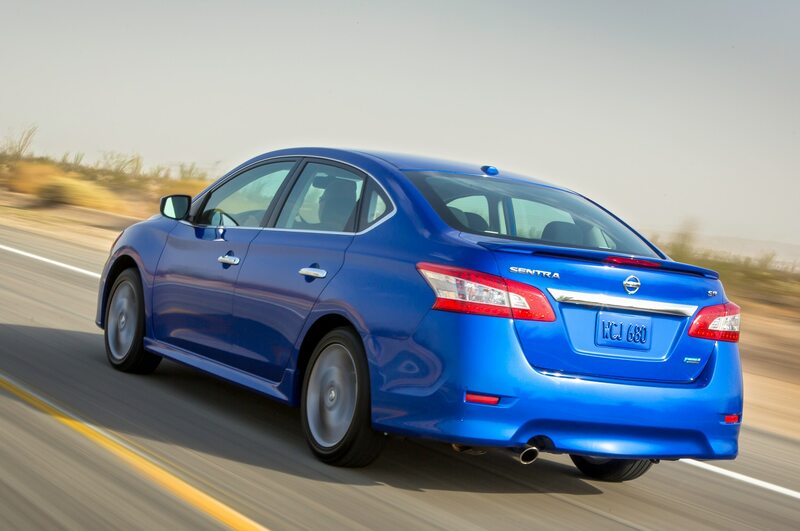 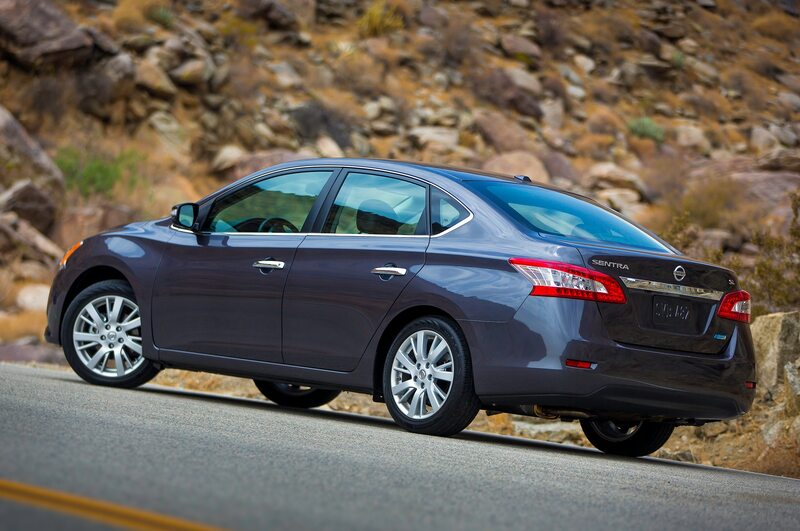 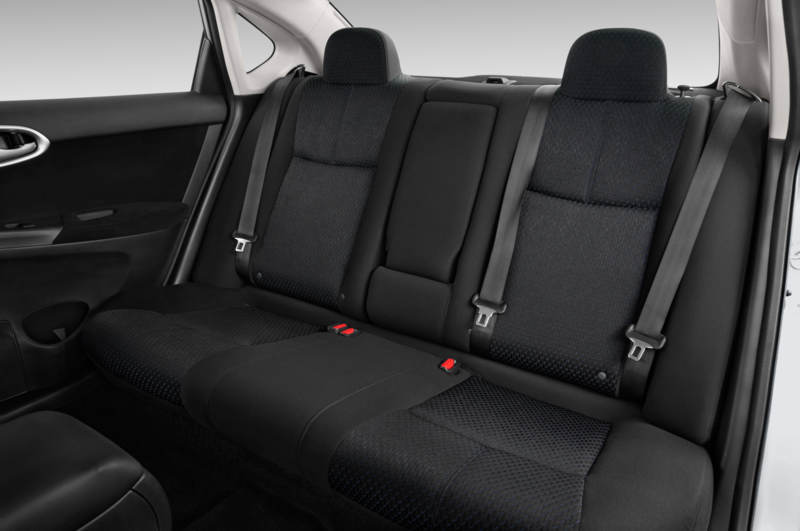 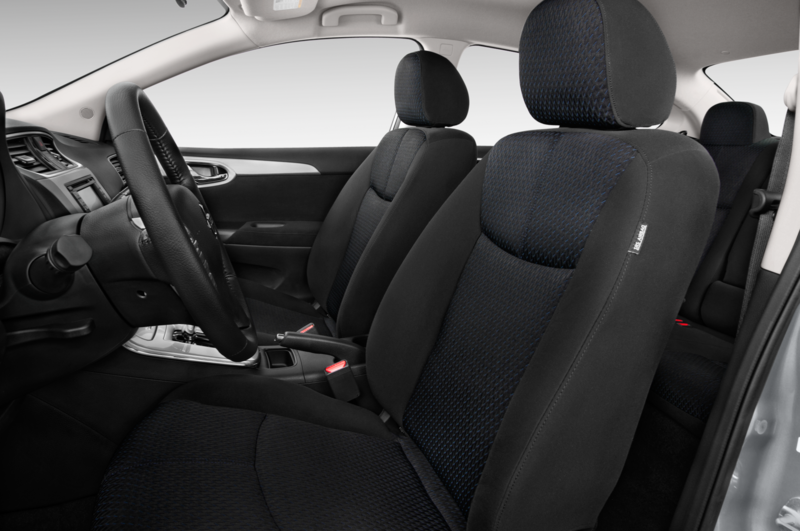 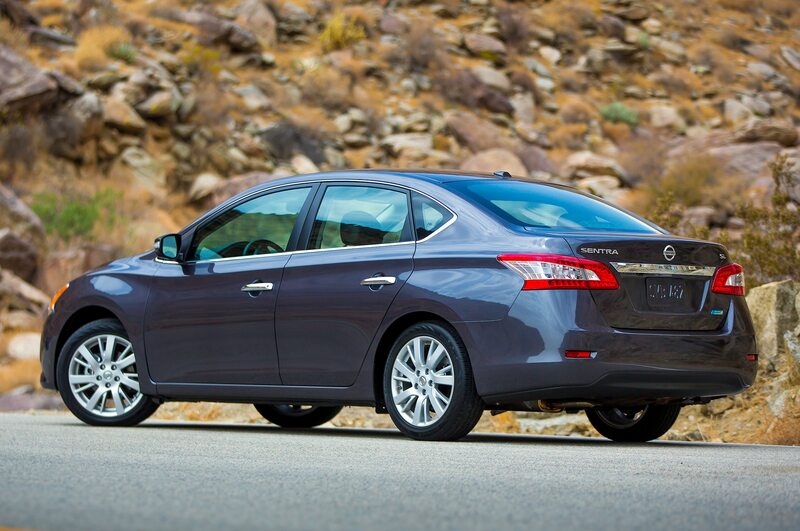 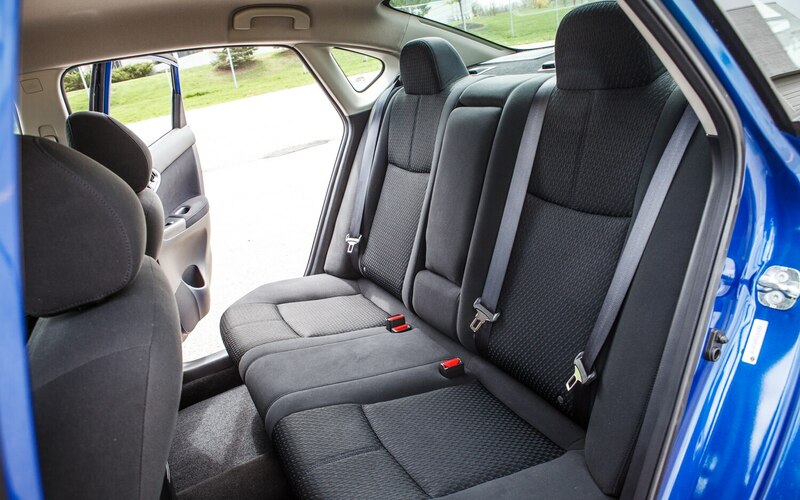 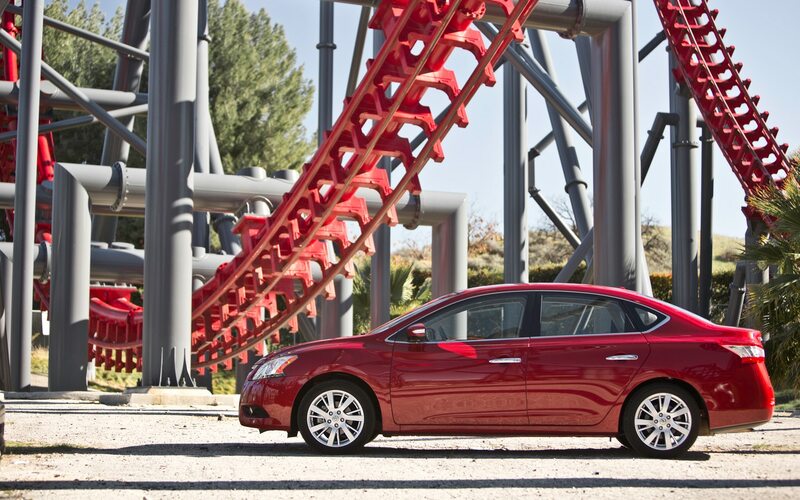 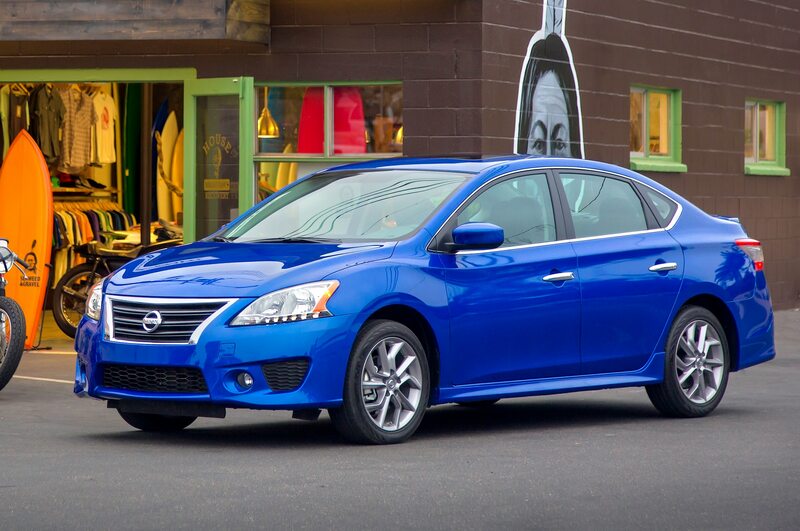 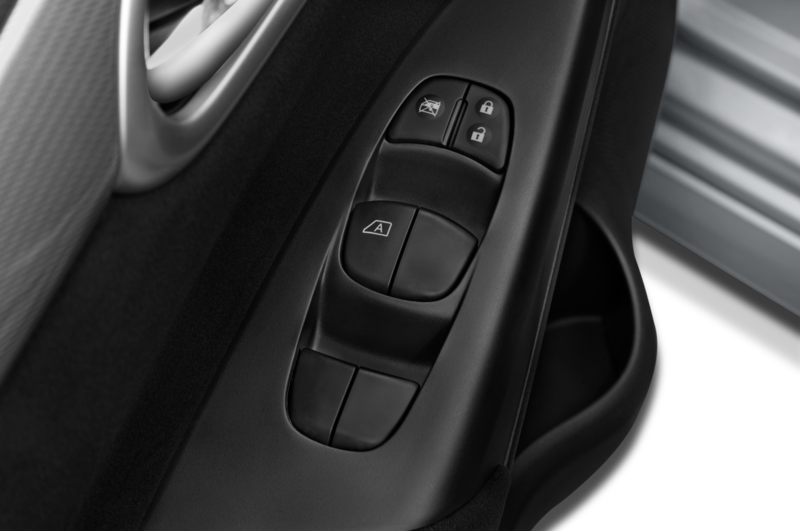 Lots of features are available in the Sentra, which is pretty cool. 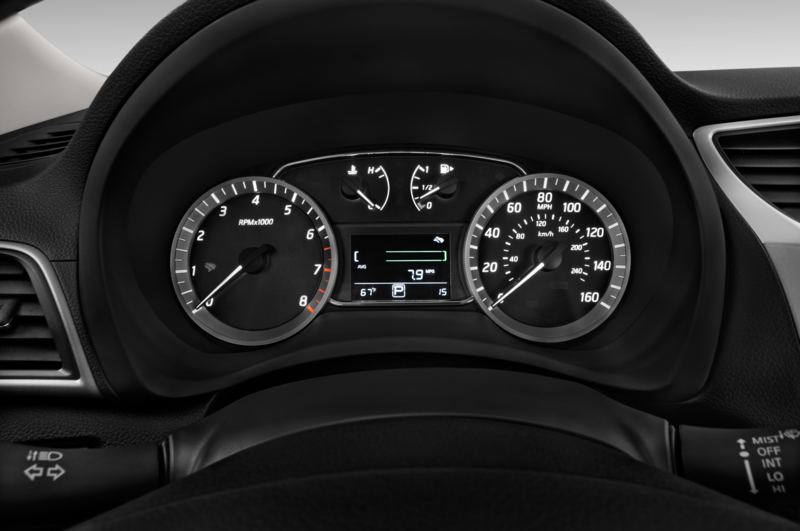 Except for the ridiculous “speed warning for curves” feature. 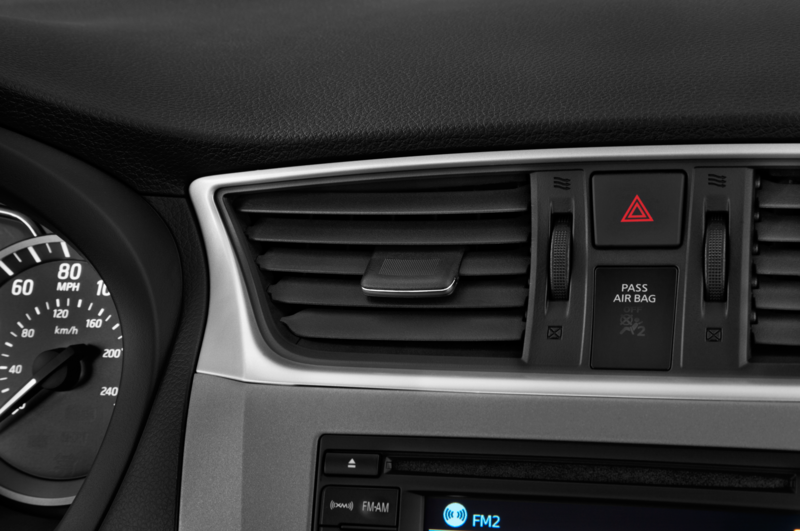 It startled the heck out of me the first time it beeped and perplexed and annoyed me the next fifty times it beeped. 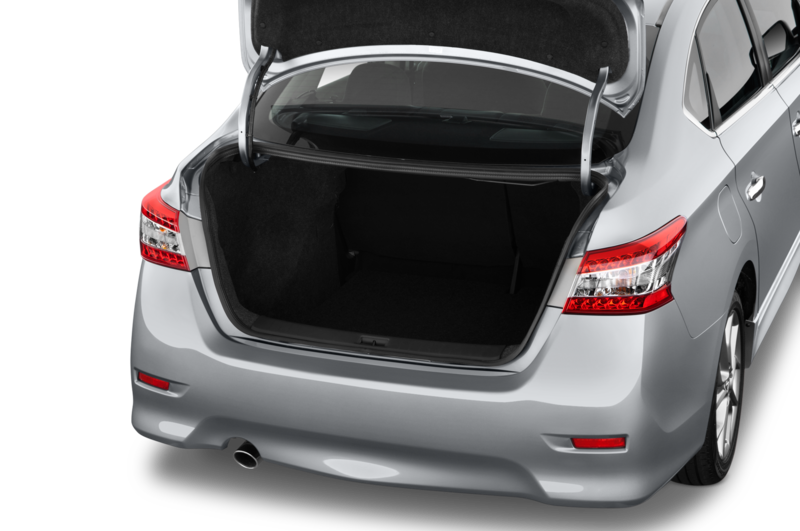 Here’s a video of it. 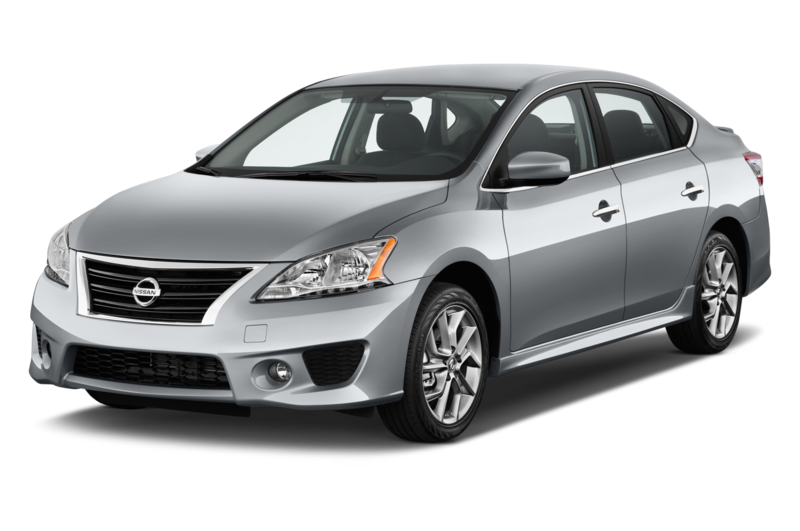 I figured out pretty quickly that the Sentra SR isn’t much fun to drive assertively so I laid off the throttle, took my time around corners, and found the little Nissan to be quite pleasant around town. 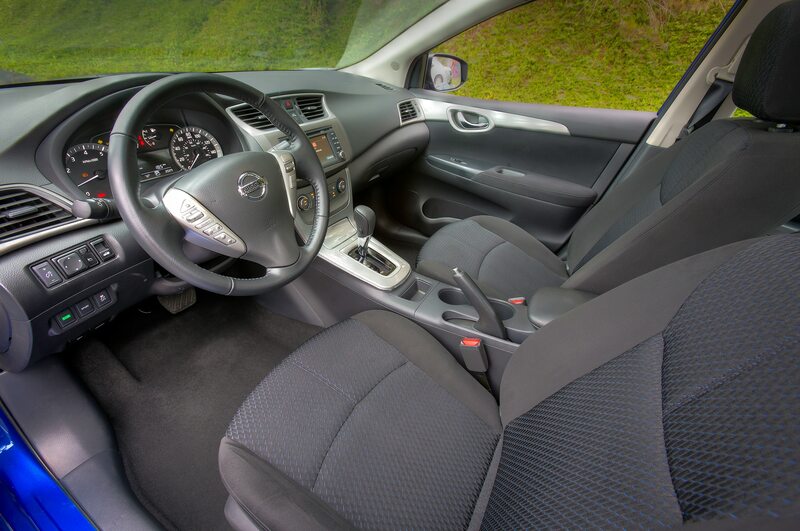 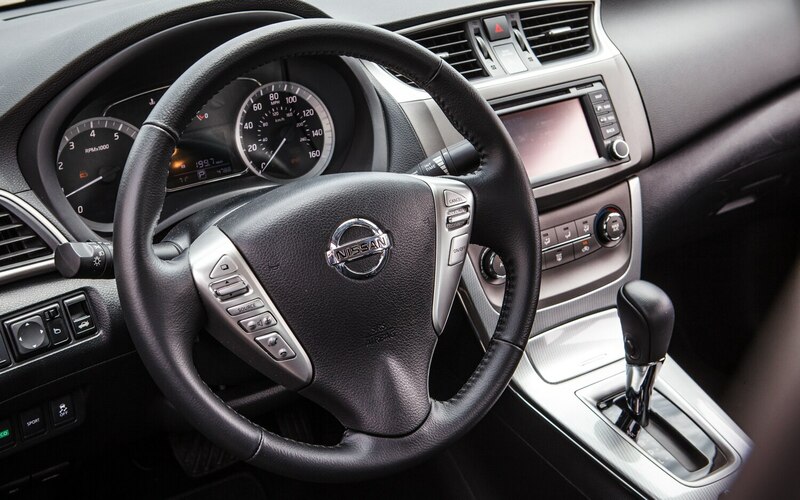 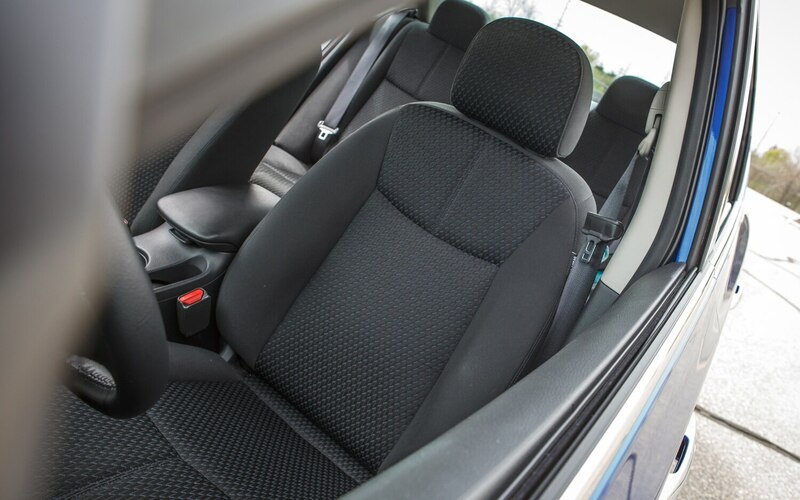 Although it’s not as athletic as the Ford Focus or the Mazda 3, the Sentra’s interior is better trimmed and nicer looking than both of those vehicles. 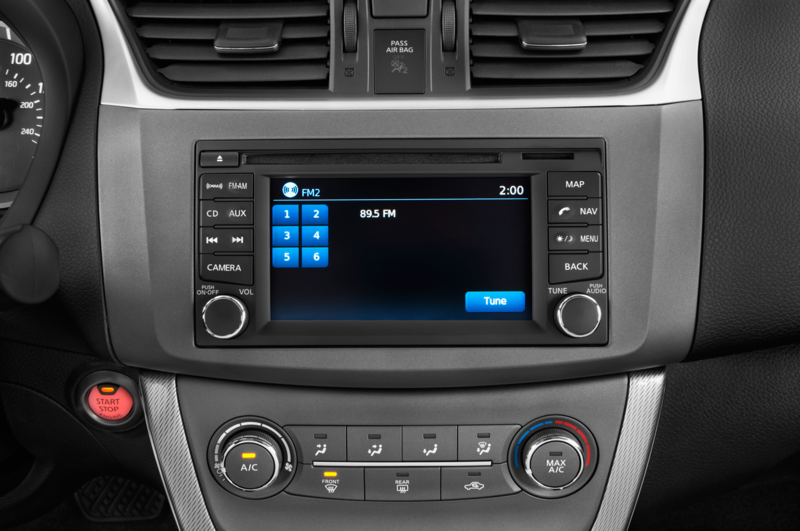 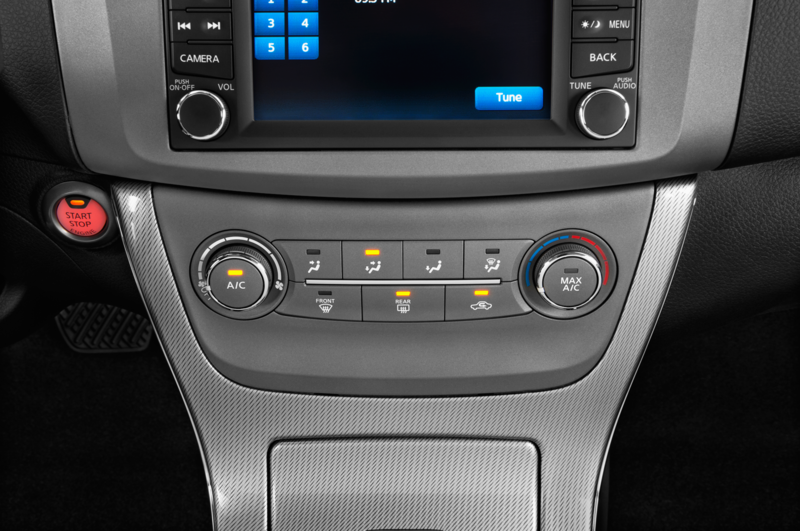 The Sentra’s infotainment system is also far easier to use than the MyFord Touch system and easier on the eyes than the Mazda’s. 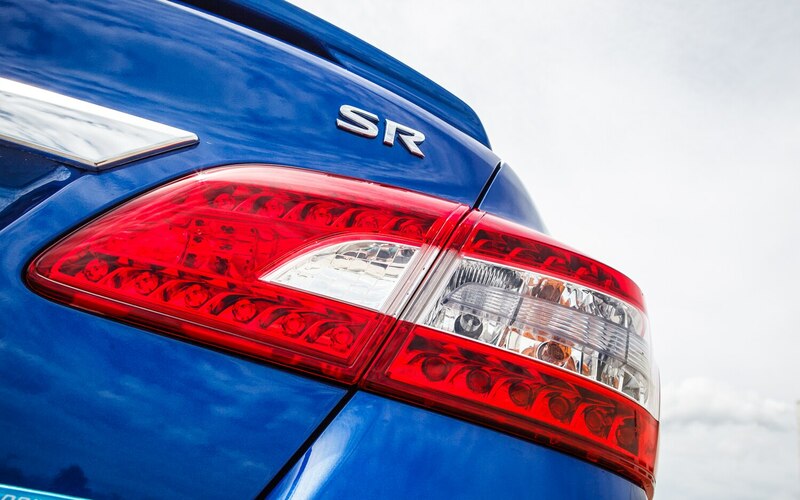 SR, not SE-R. 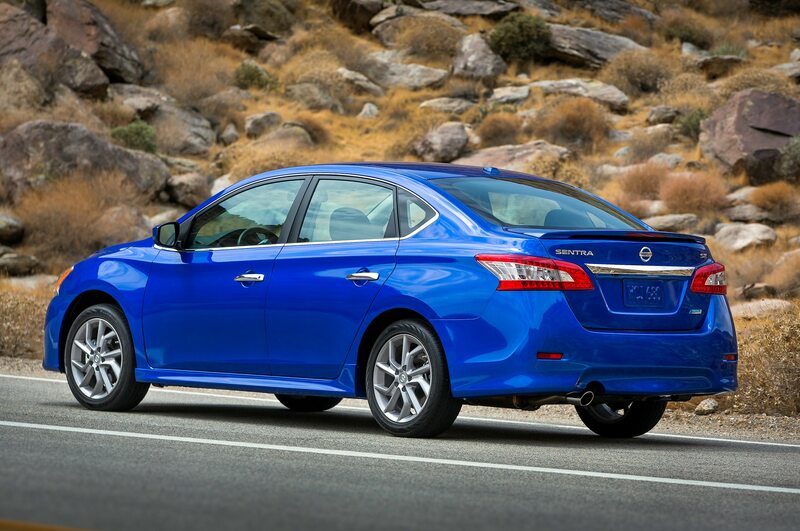 The SR is all sporty trim with no performance improvements. 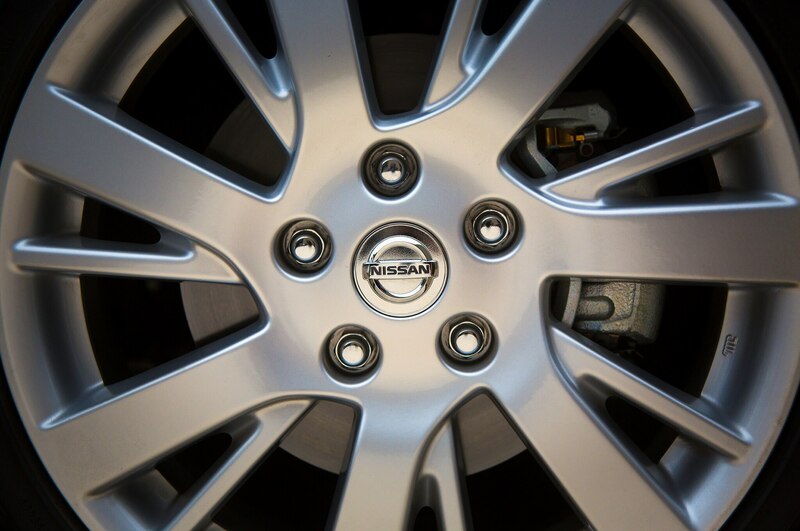 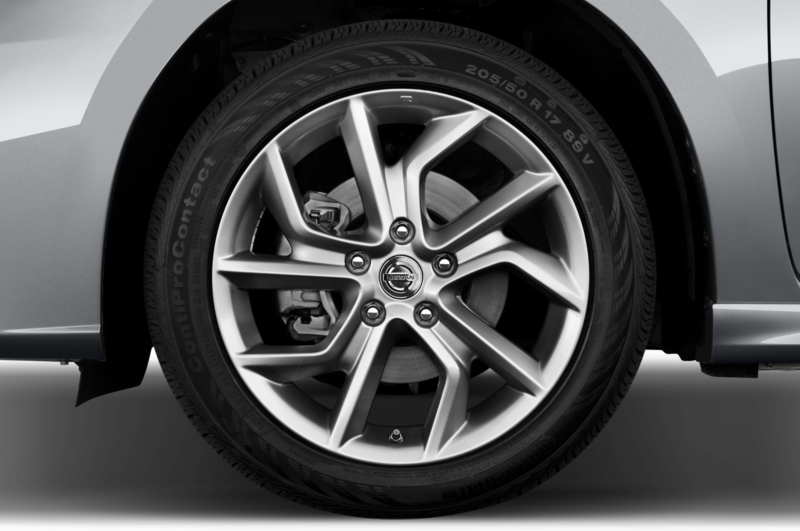 The SR Driver package does include one mechanical upgrade, in the form of rear disc brakes. 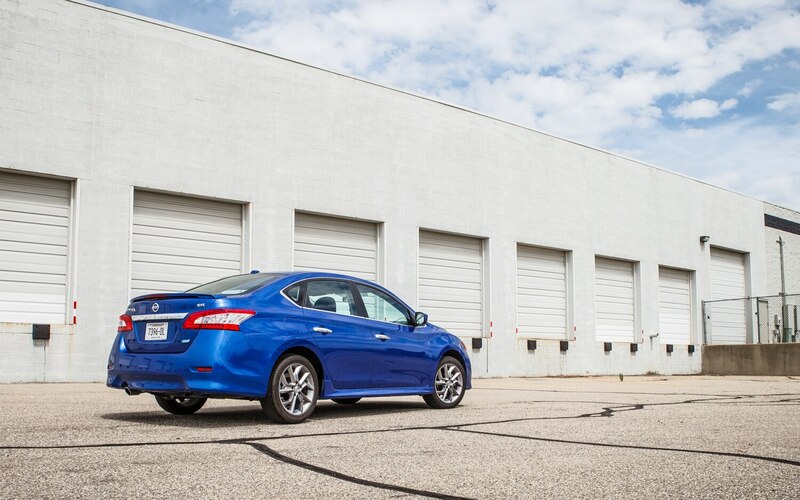 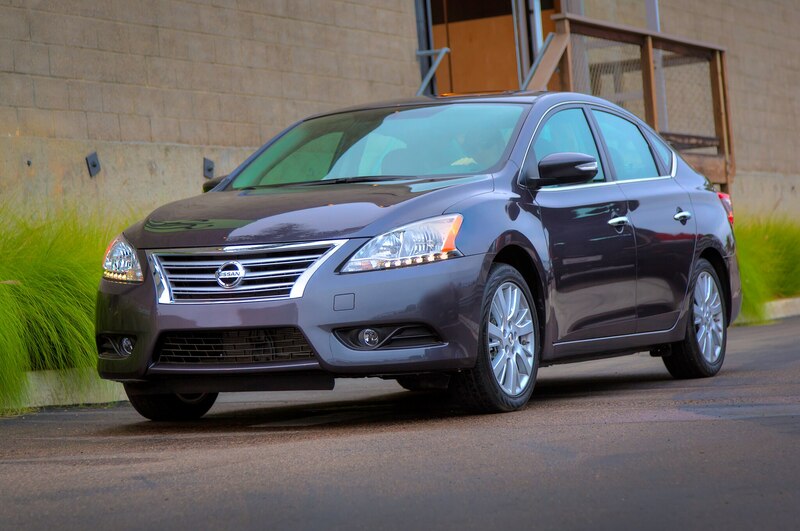 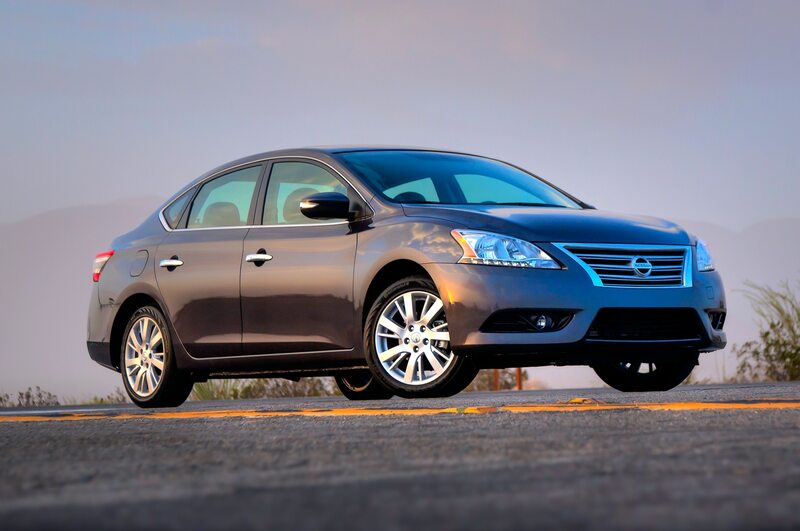 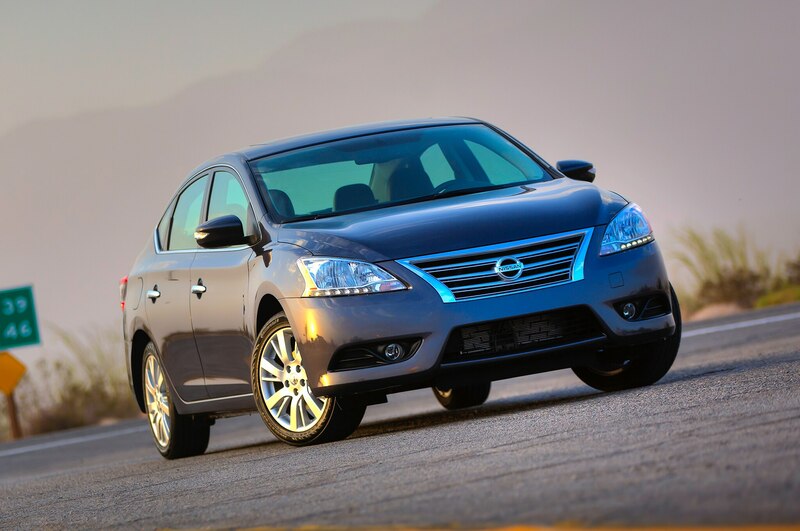 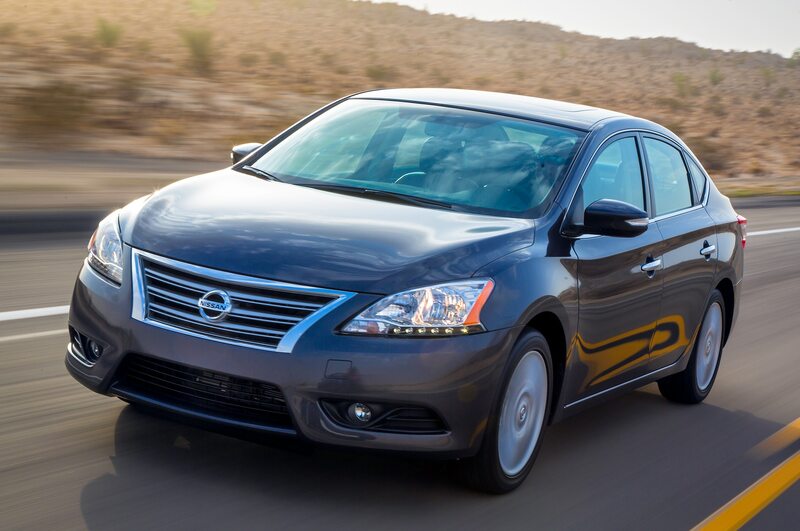 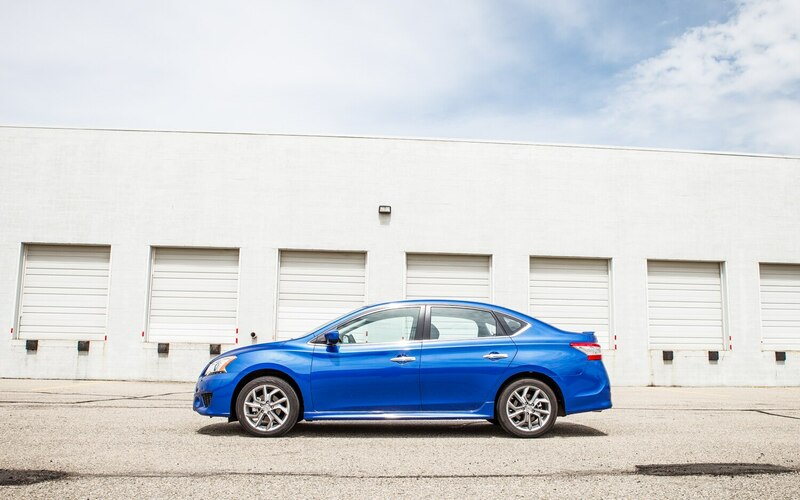 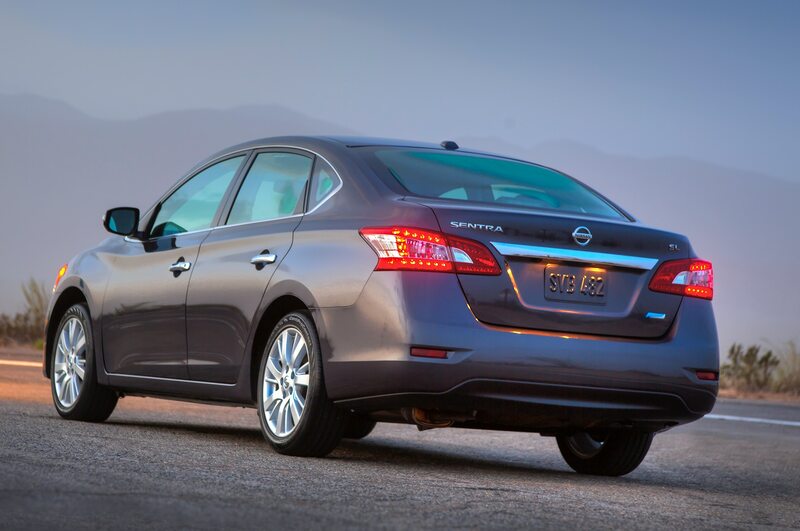 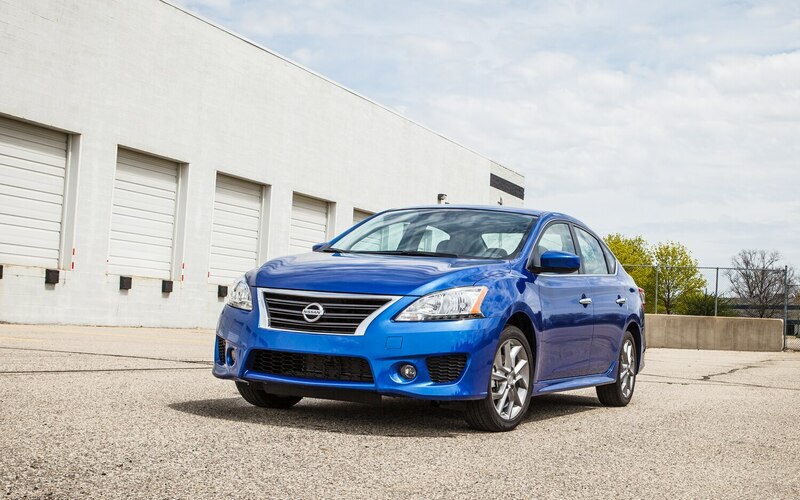 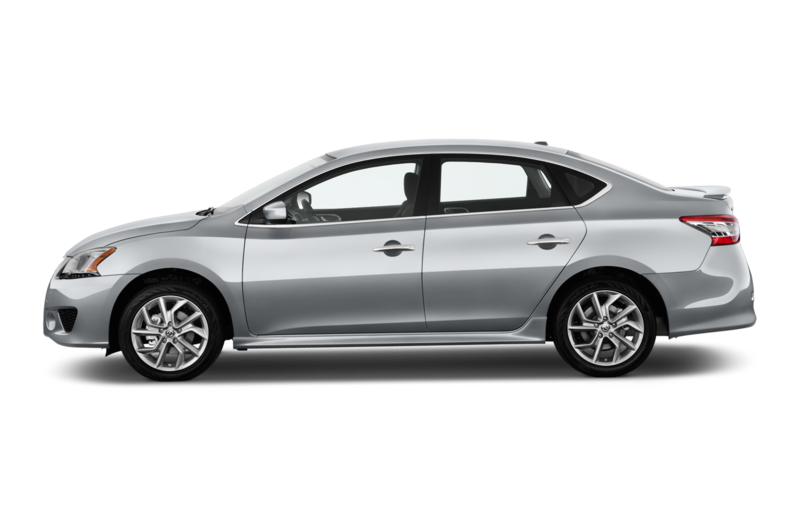 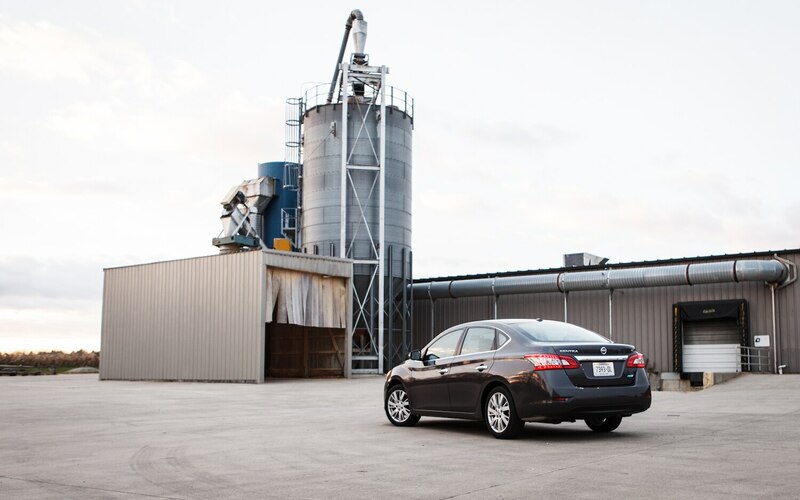 We wouldn’t normally suggest taking the advice of automakers when it comes to dating, but Nissan has released a series of web videos demonstrating how its new 2013 Sentra can help hapless bachelor Jeff find love.